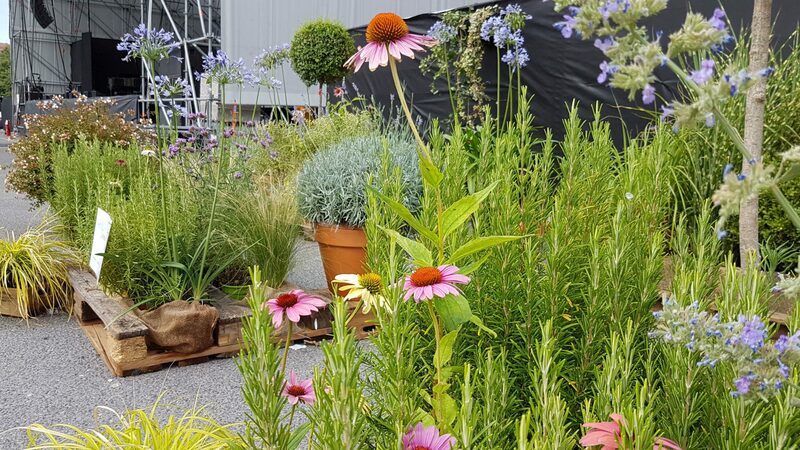 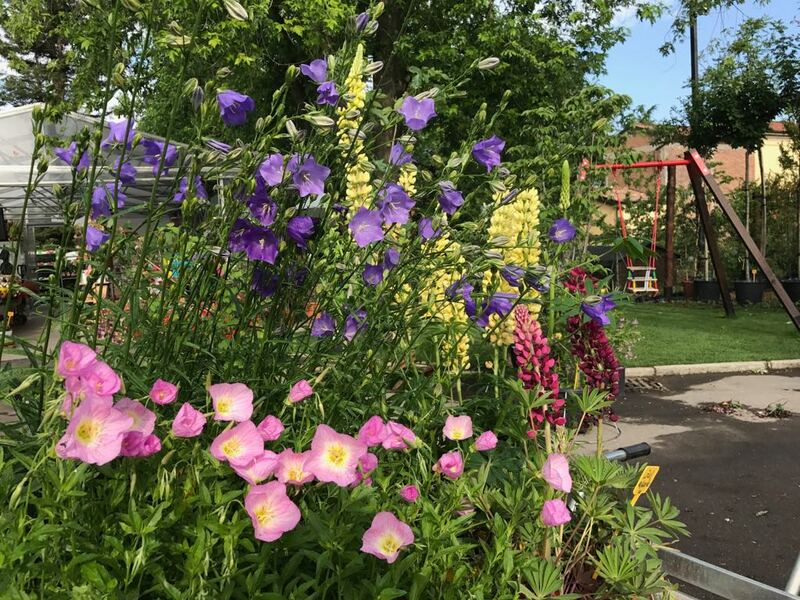 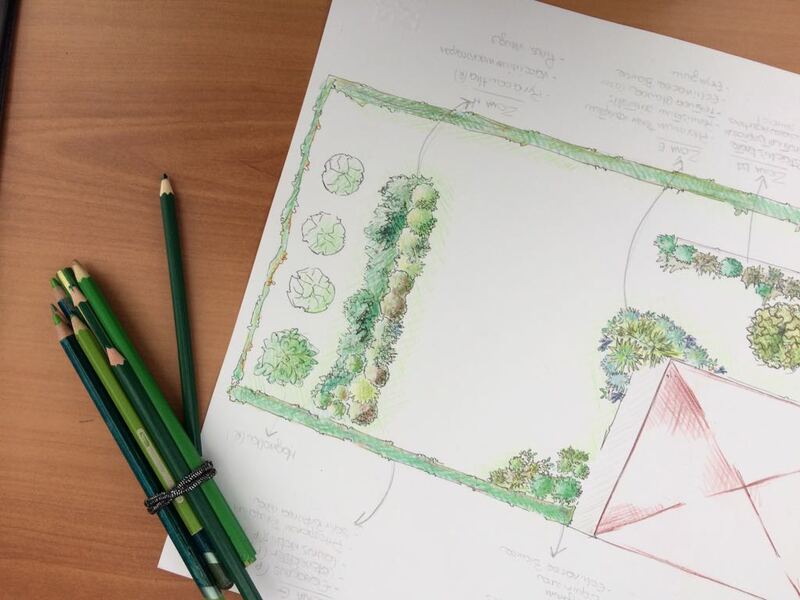 Your green space, from projects to planting. 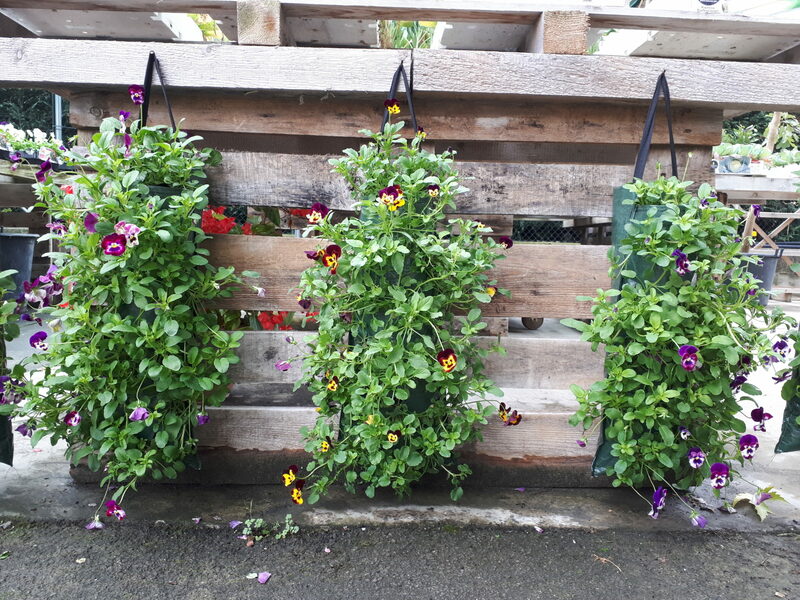 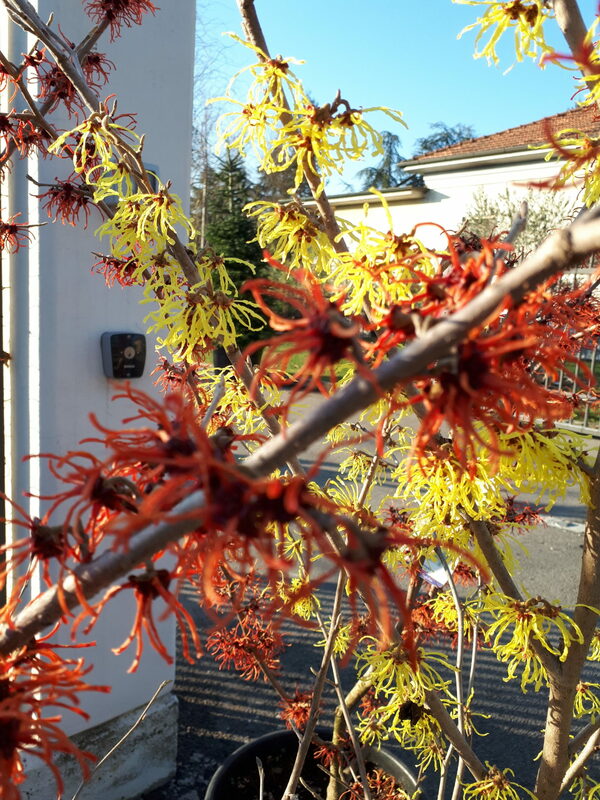 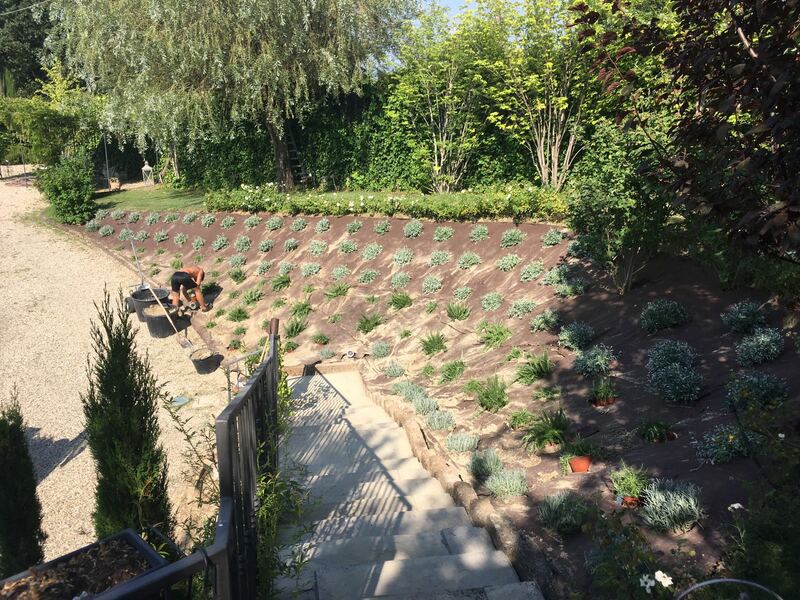 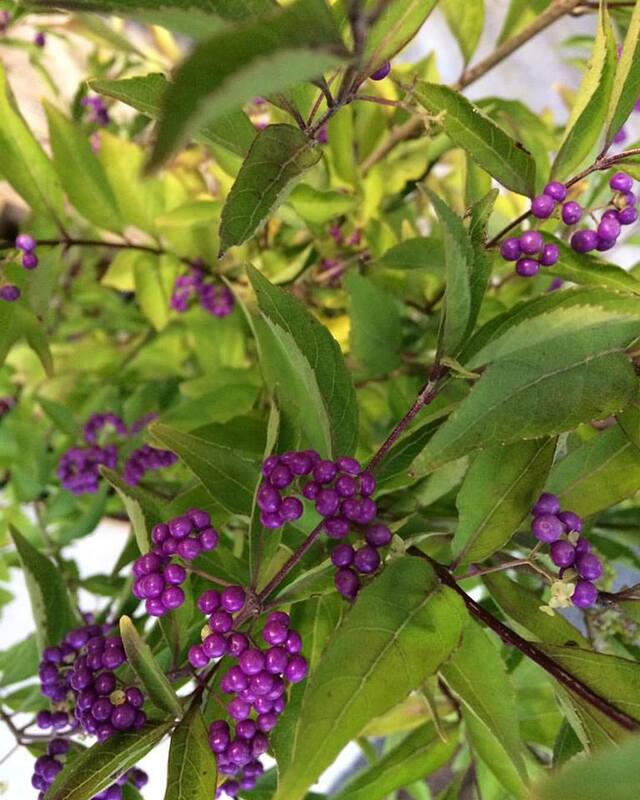 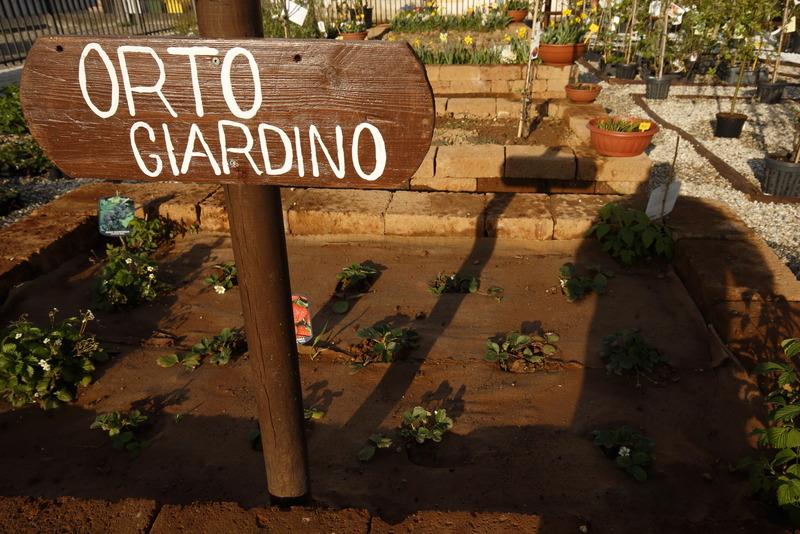 The Nursery rises as a green space in the heart of our town, where plants, fragrances and colors are concentrated. 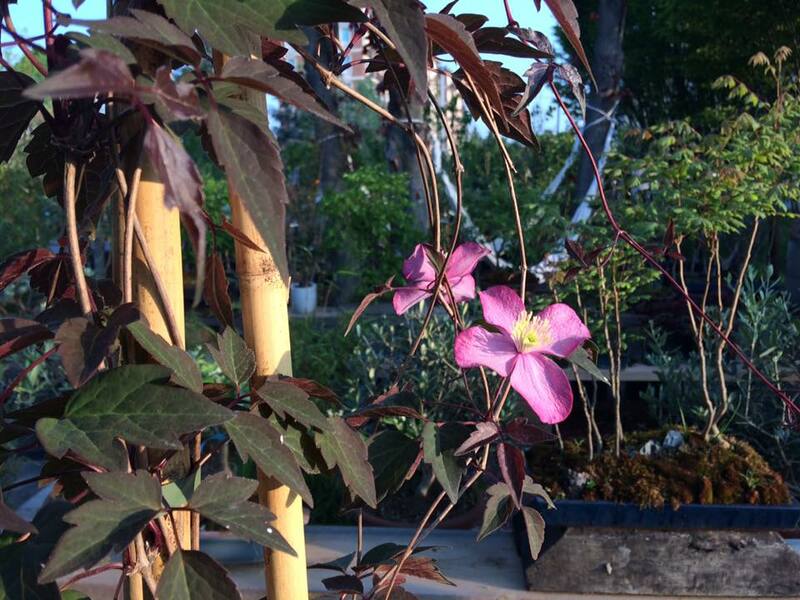 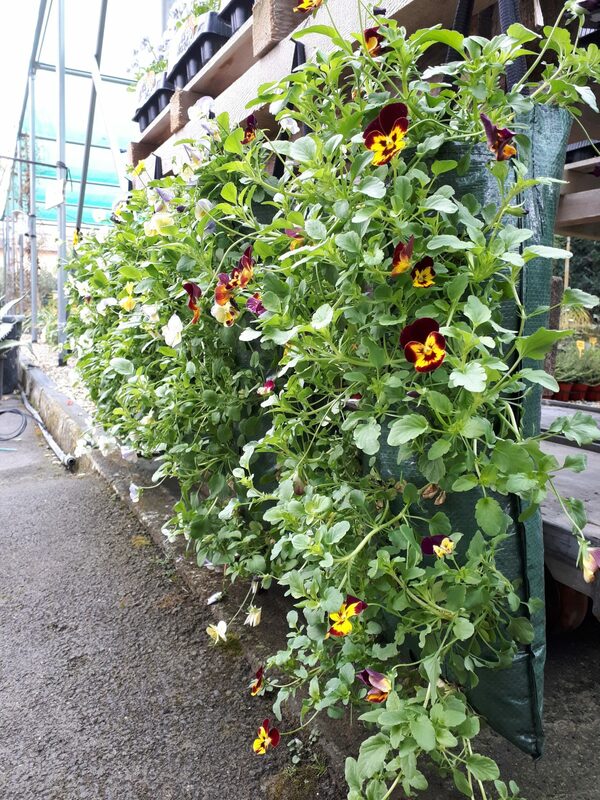 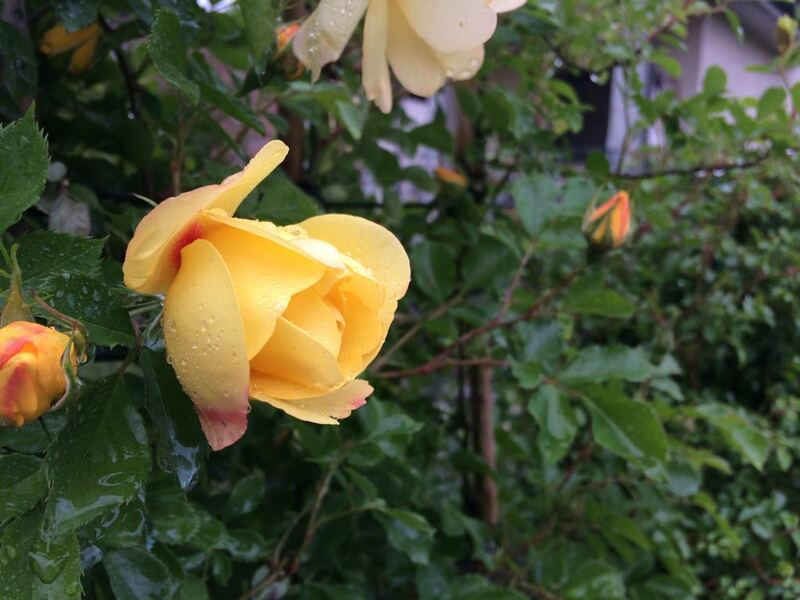 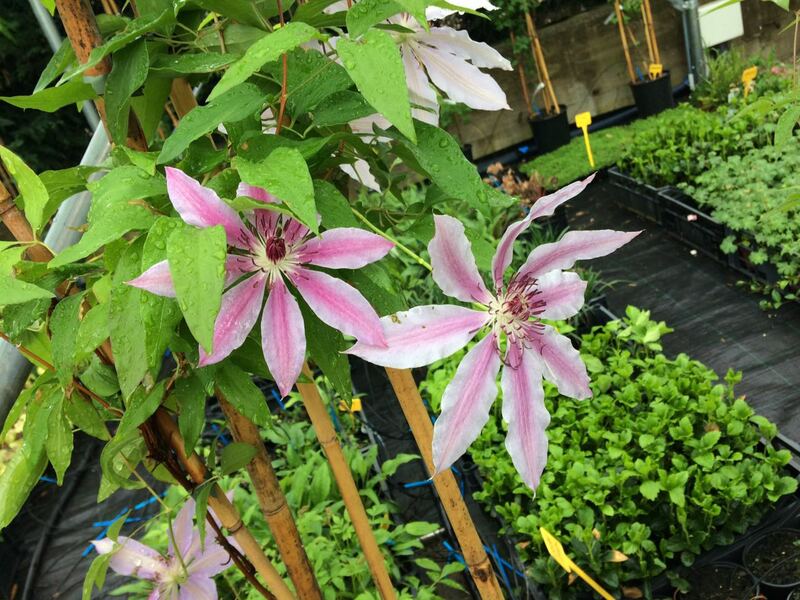 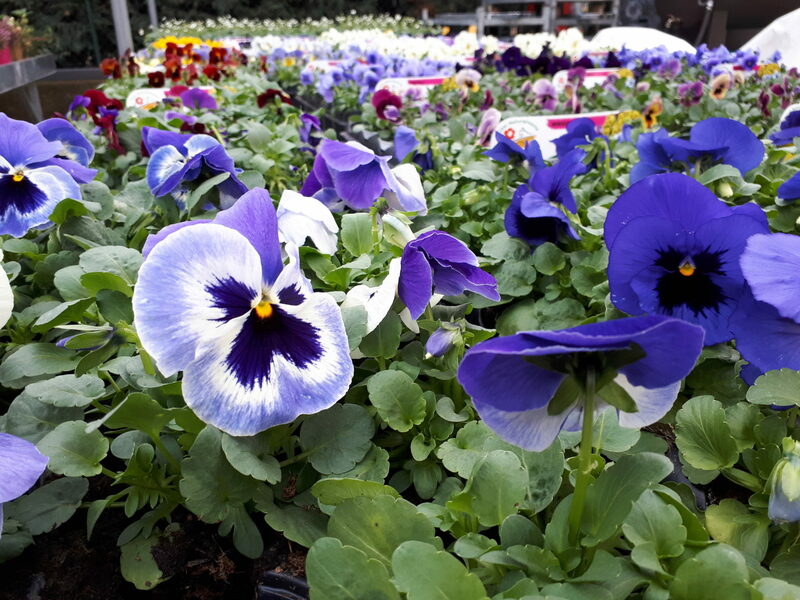 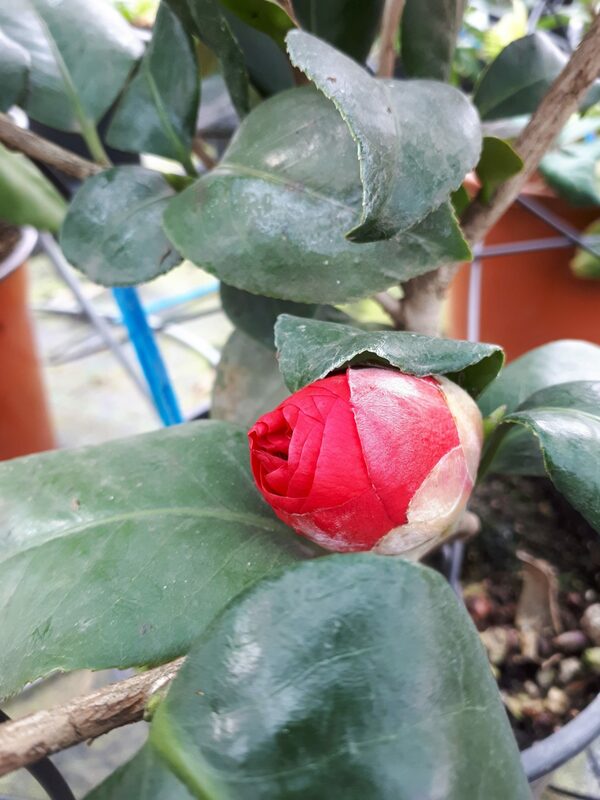 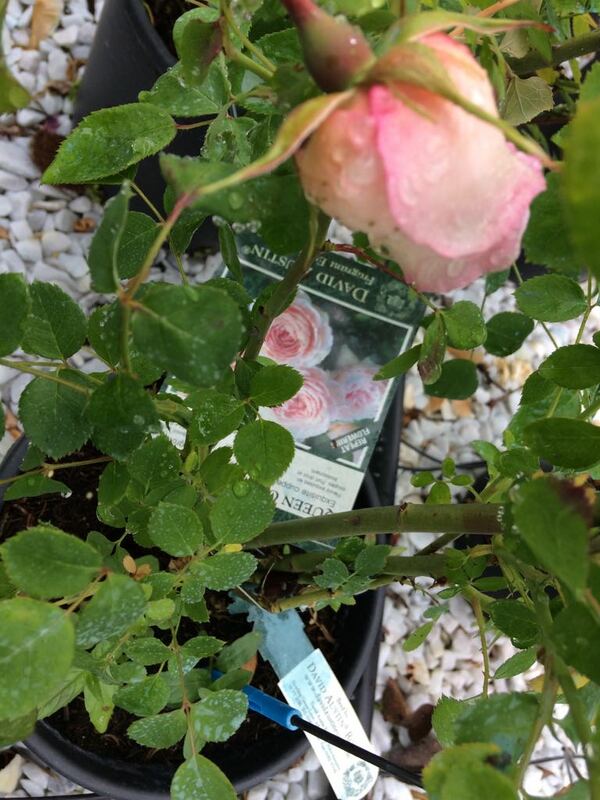 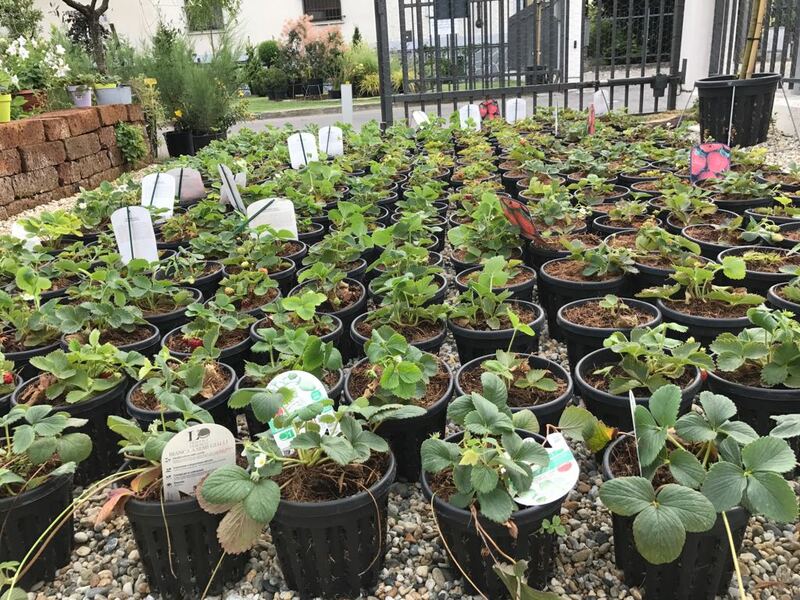 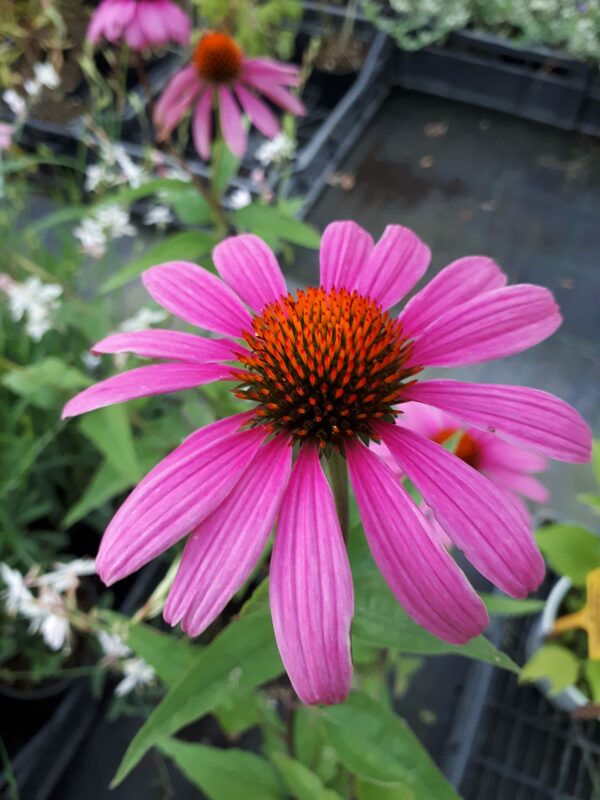 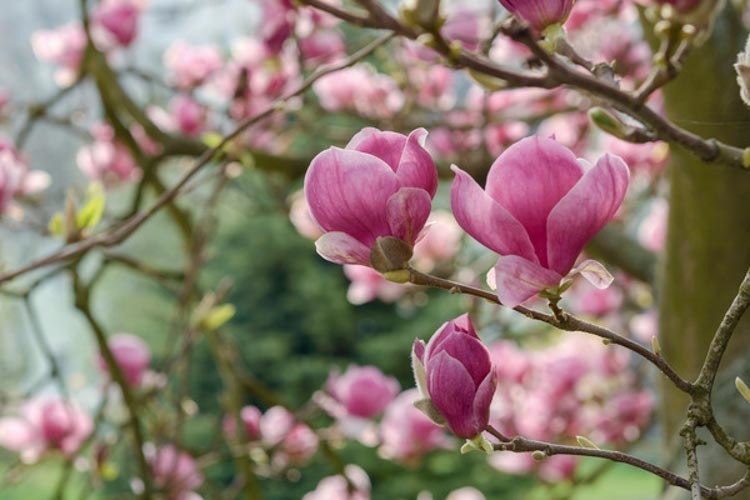 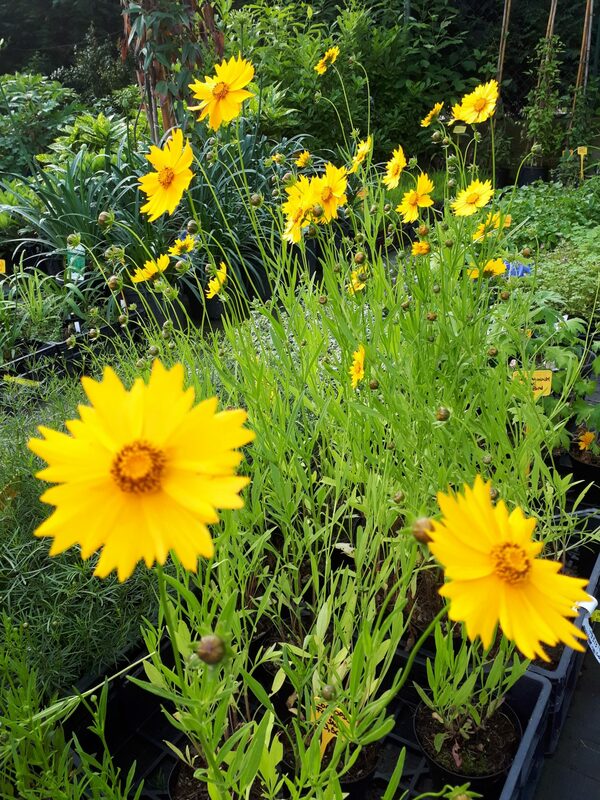 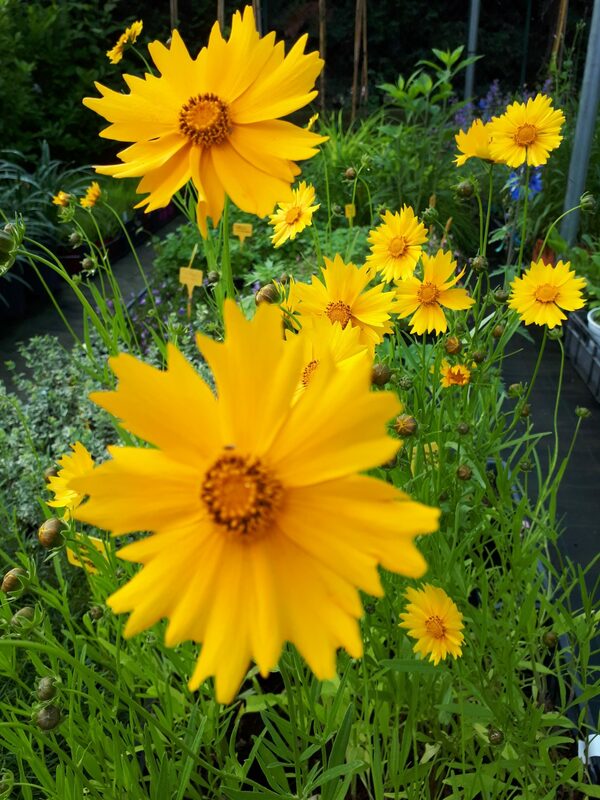 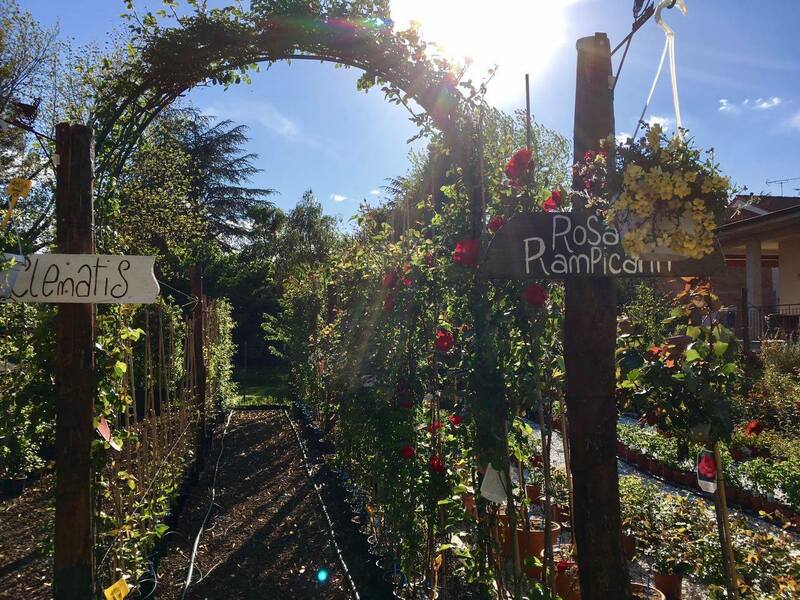 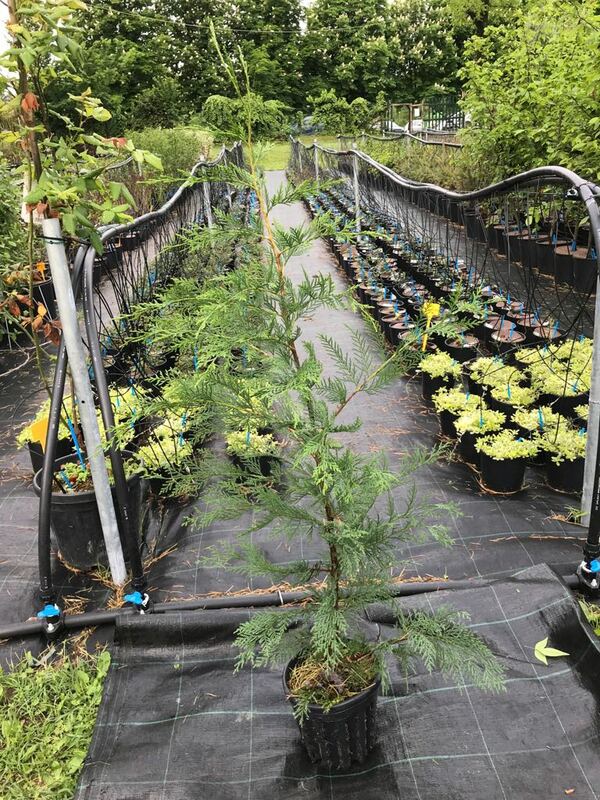 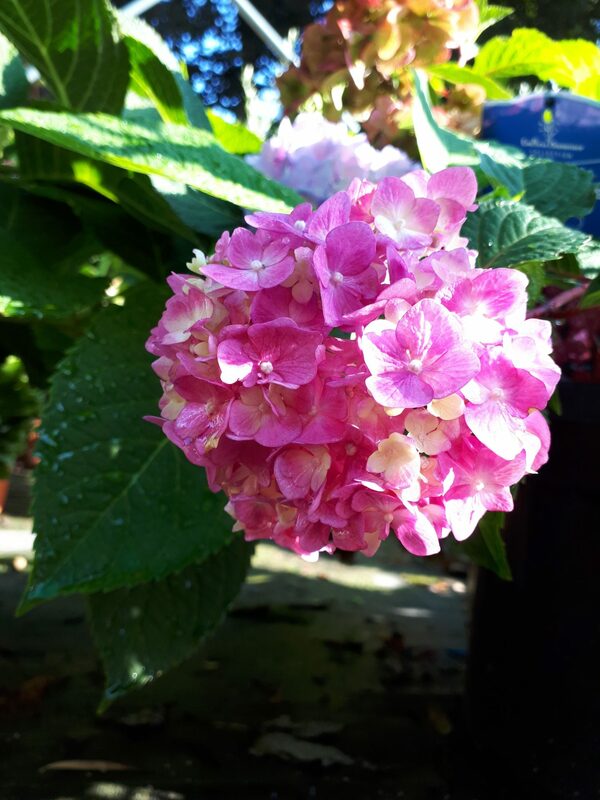 The plant nursery offers a vast assortment of ornamental plants, vegetable gardens, climbers, fruit trees, ancient roses, grasses and clematis, as well as the possibility of receiving a personalized consulting and custom garden design service. 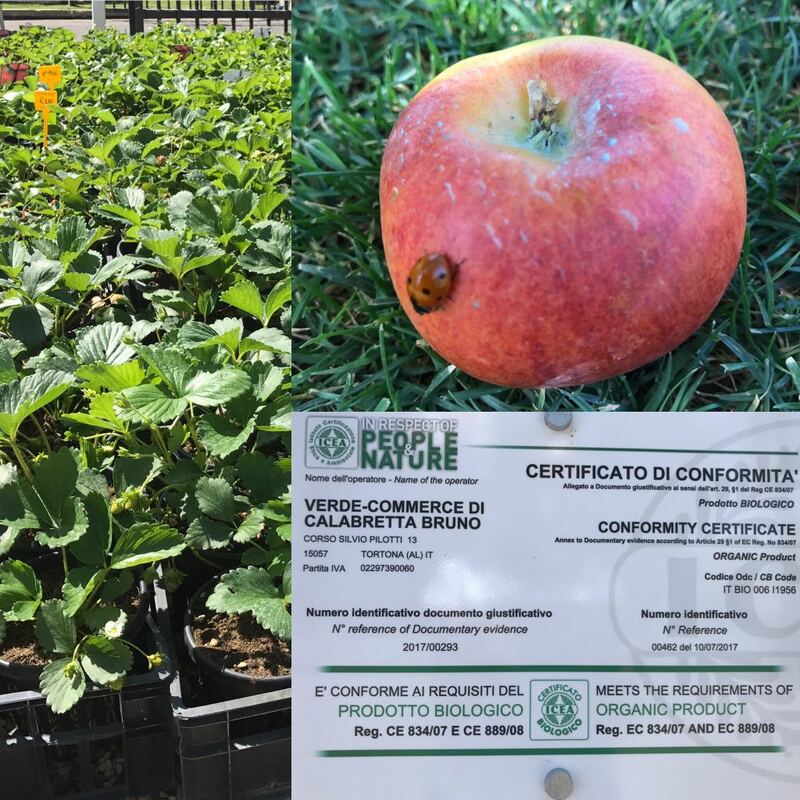 We work fully respecting the environment, offering the possibility to purchase several products guaranteed by organic certification. 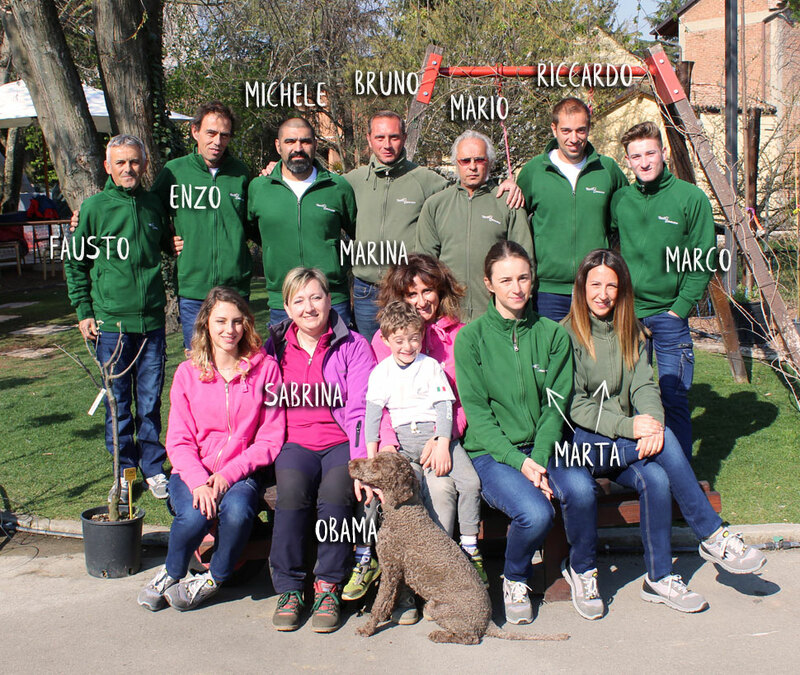 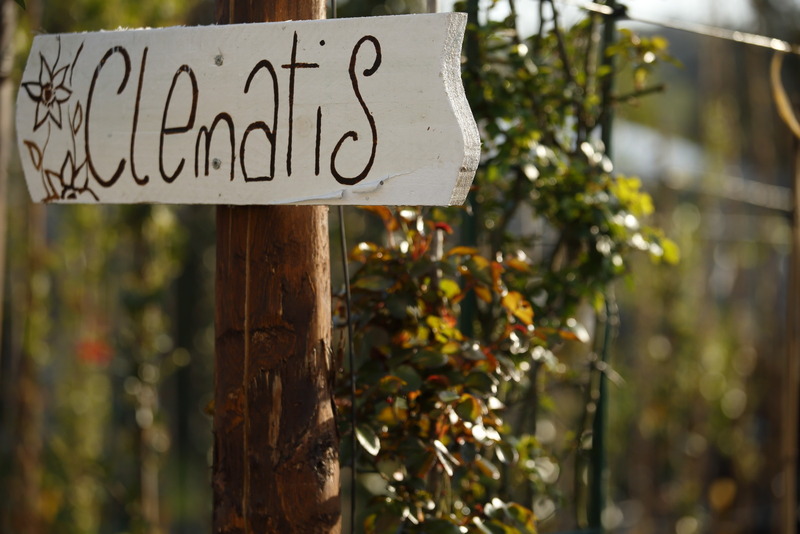 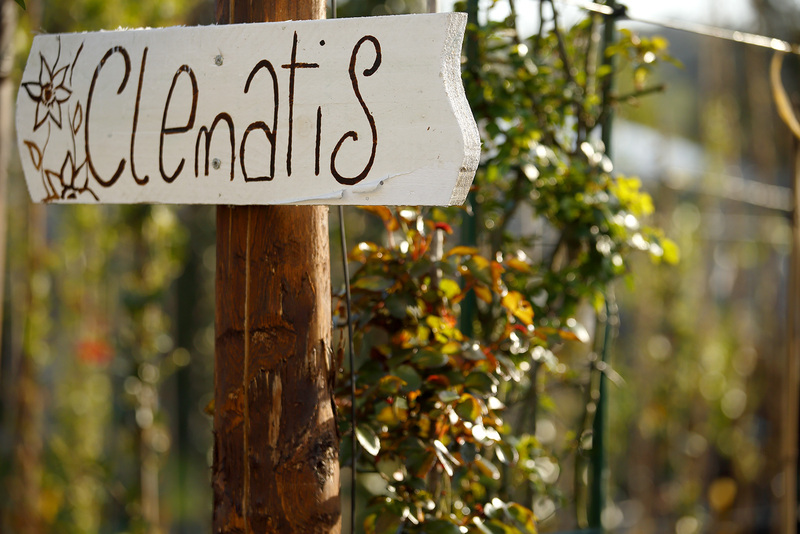 The nursery was founded in 2009 from an idea of Bruno Calabretta, who made the passion for plants and nature his work. 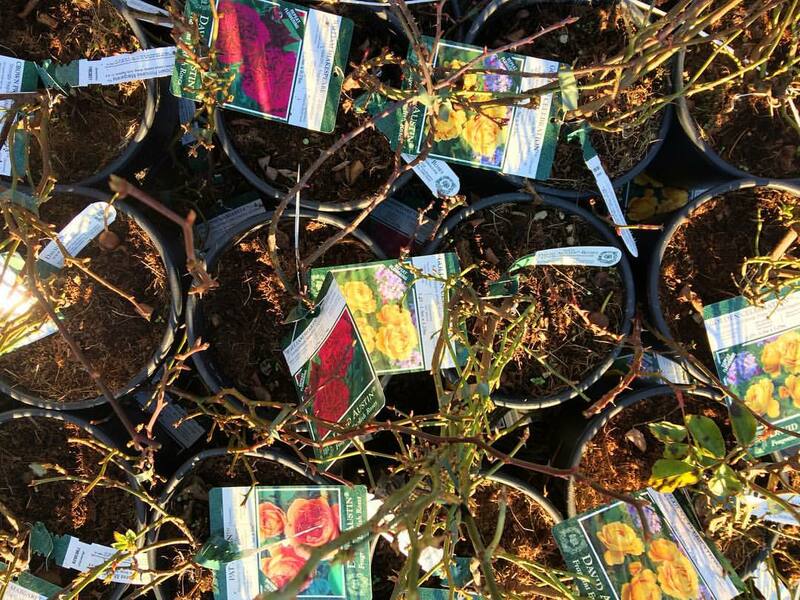 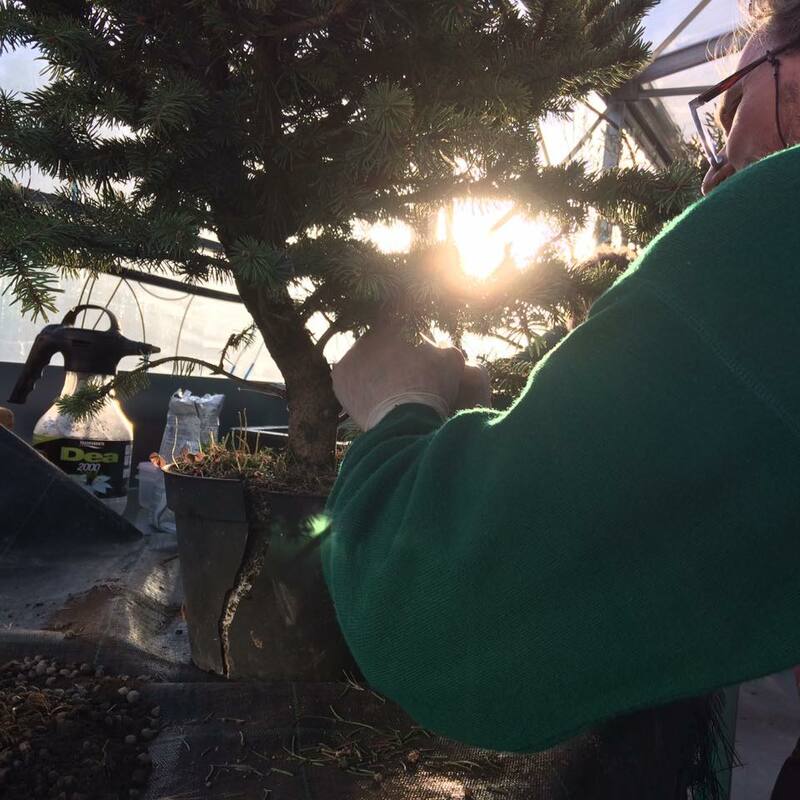 The knowledge and experience gained over the years have provided him with in­depth knowledge of the nursery sector and enabled him to make the best choices for his customers. 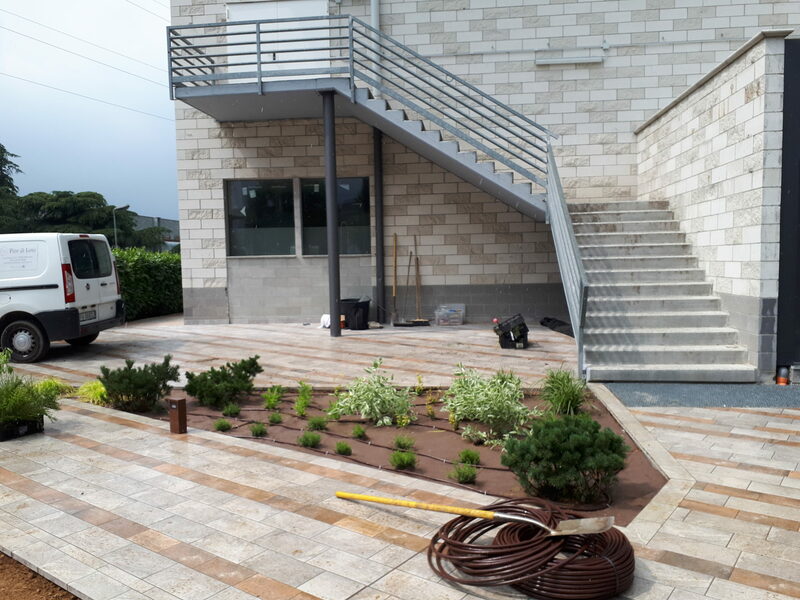 Garden designing is very important to us, since it is the first of garden construction phases, which allows us to put on paper an idea born out of the confluence between customer tastes and our knowledge of the place. 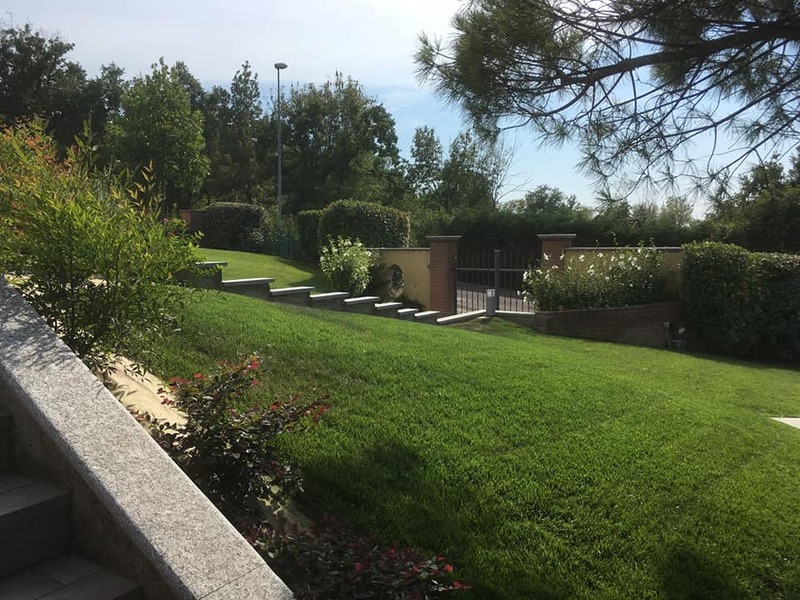 We work in order to get a new, different and enjoyable result, in a few words a beautiful spot you can feel confortable into. 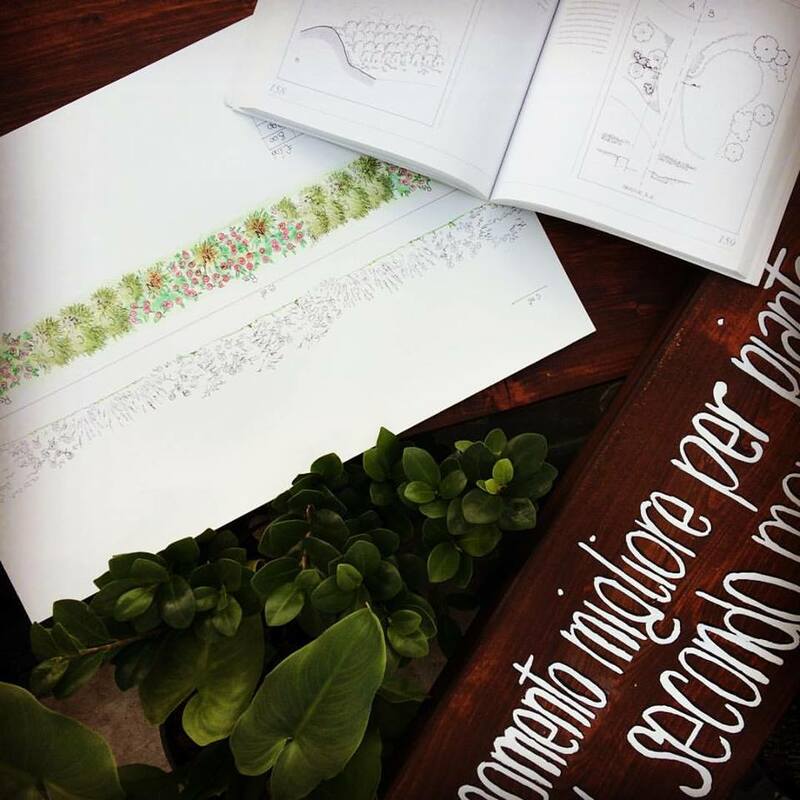 All our projects are handmade with pencil drawing technique. 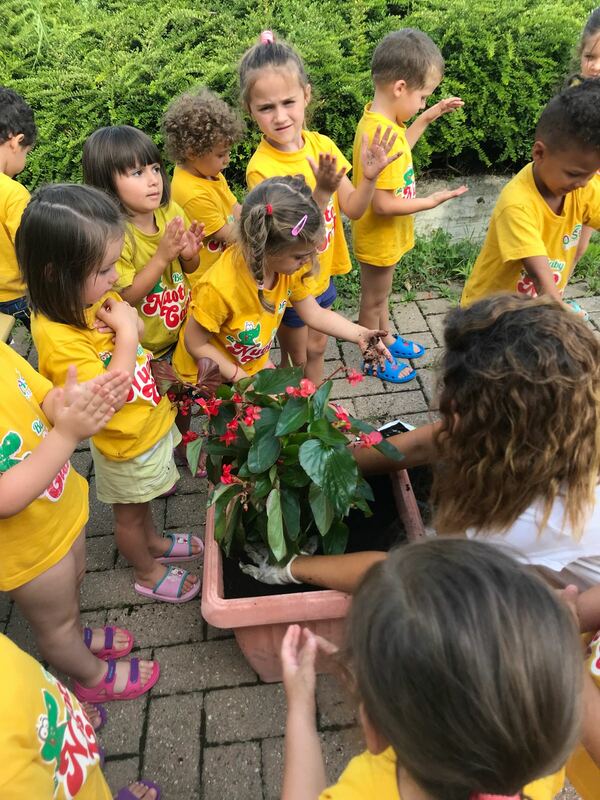 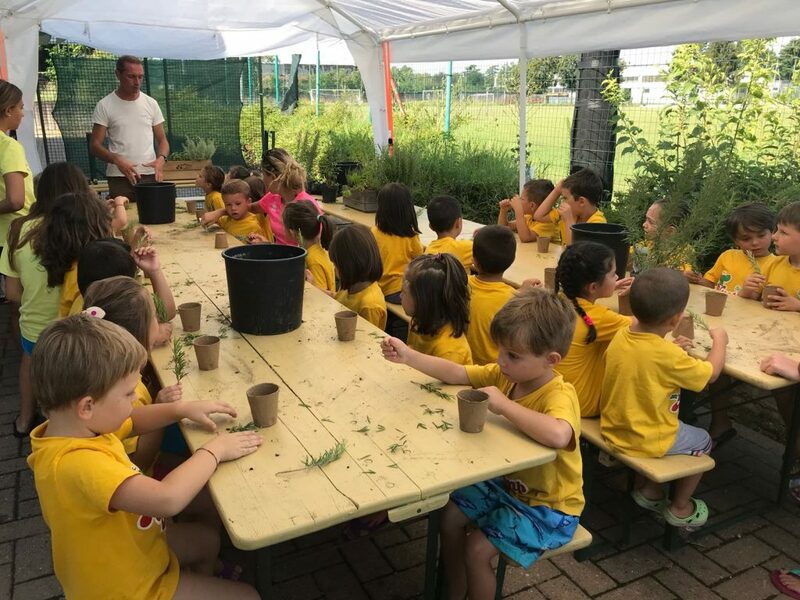 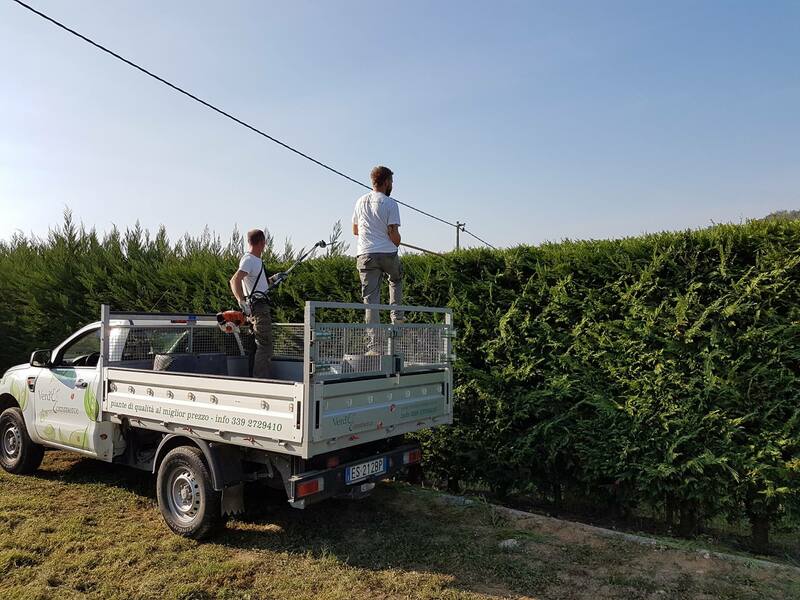 The company produces and works with nurseries located throughout the country and is able to respond to any type of request in terms of greenery, guaranteeing first-hand the origin and quality of the products it provides. 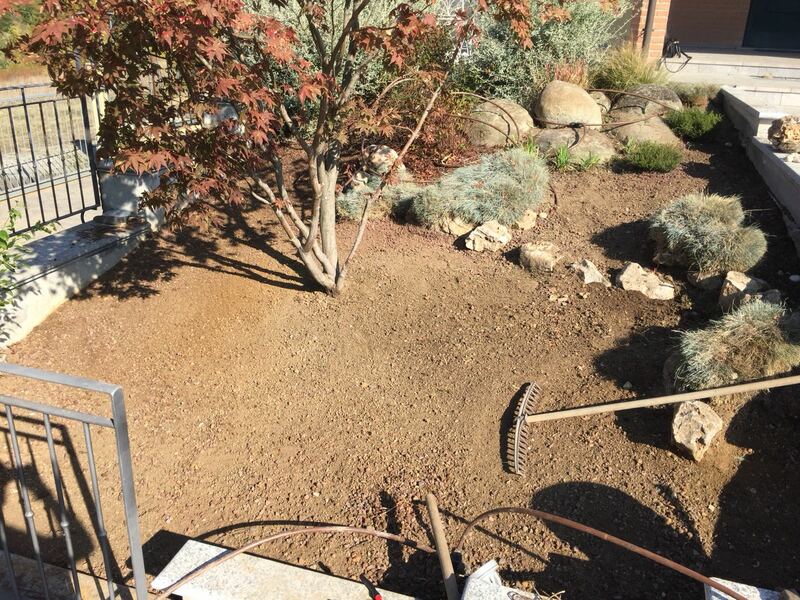 We provide a full range of superior landscaping services. 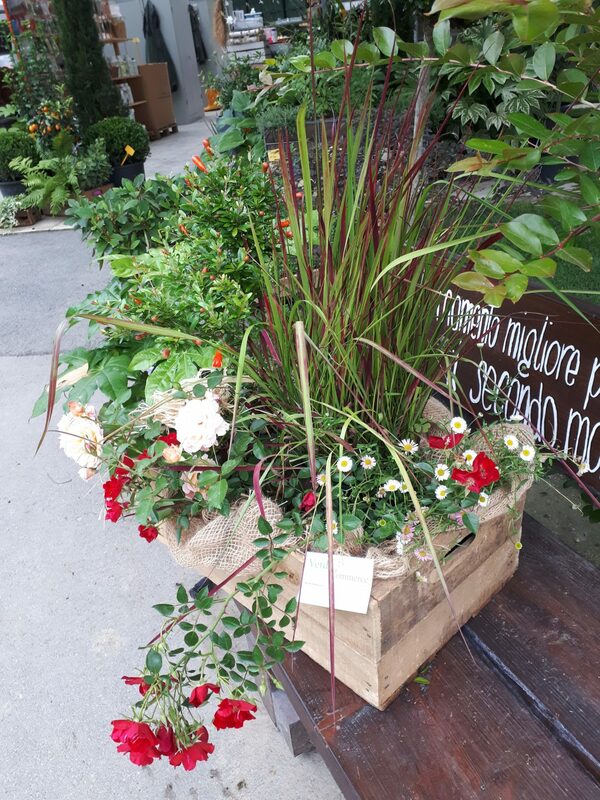 Our goal is to beautify your green spaces and we aim to make your outdoors as welcoming as your indoors. 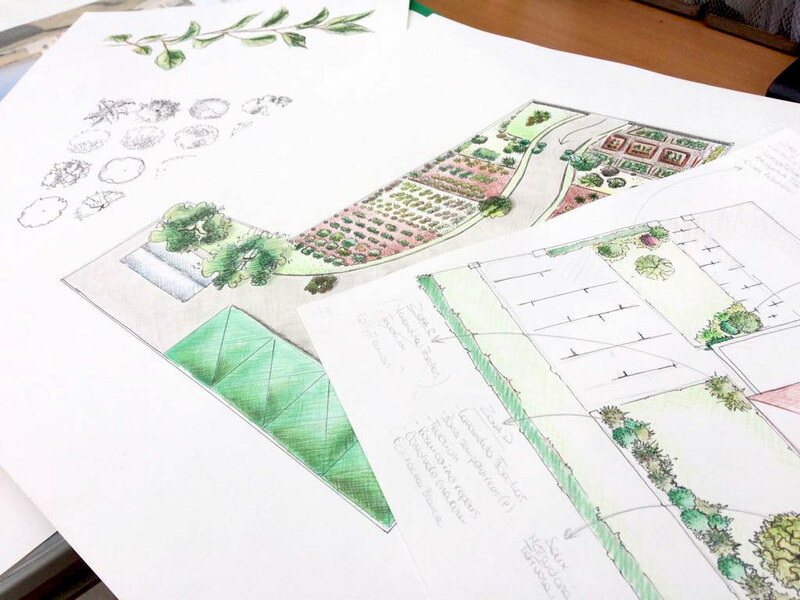 No project is too small no vision is too grand. 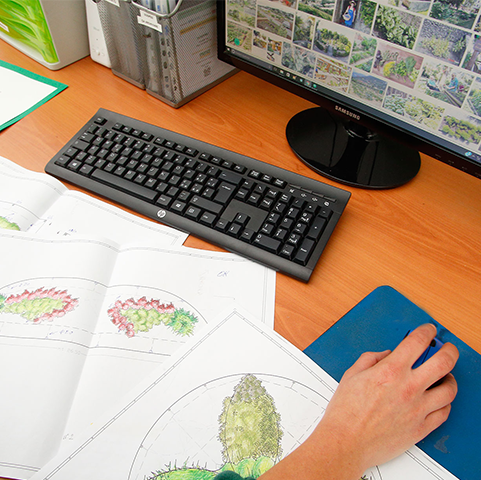 We have highly qualified garden designers who can create any environment you desire, according to the climate. 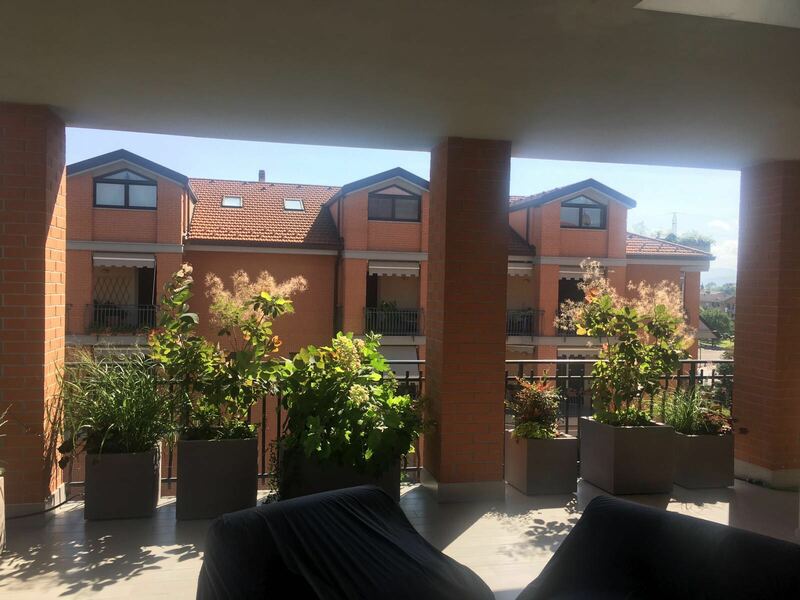 Do you want a small terrace or balcony to be more family friendly? 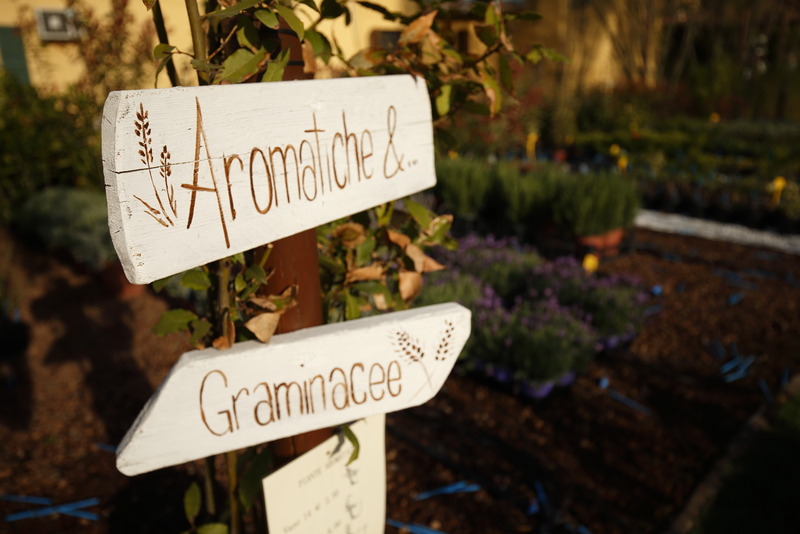 We can create versatile backyards for relaxation, or the custom herb garden you dreamed of. 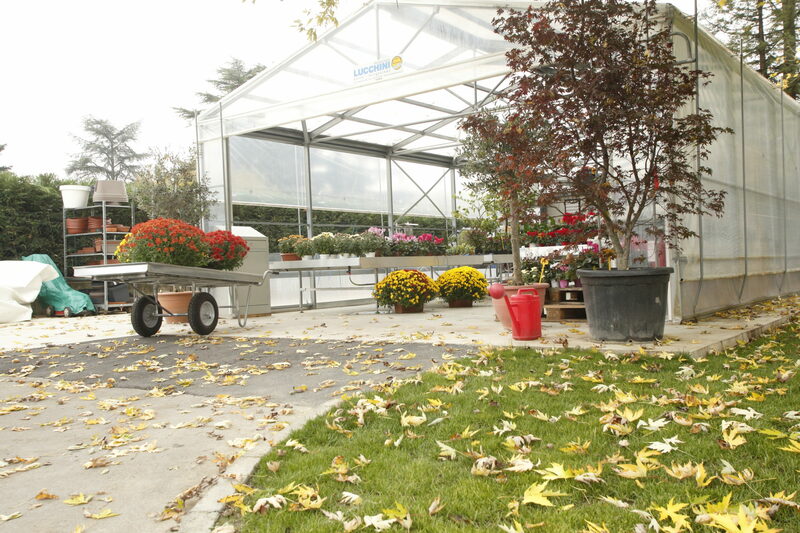 Take advantage of your outdoor space today! 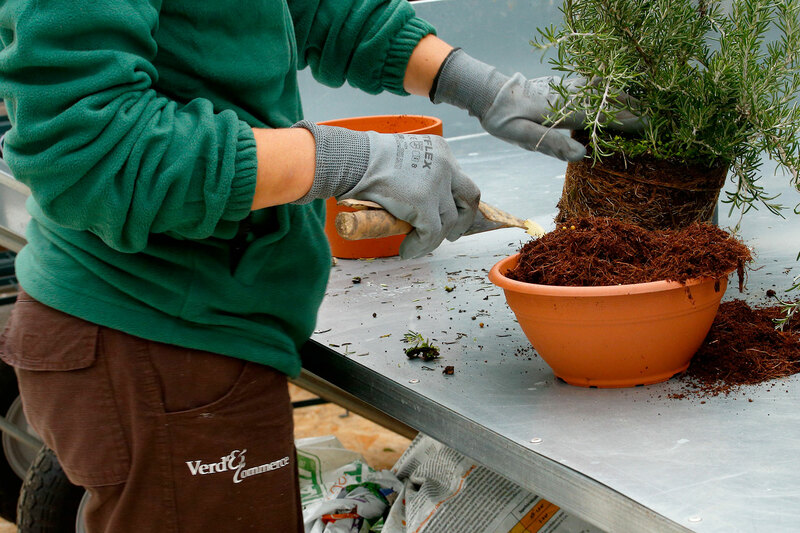 We conduct our work whilst fully respecting the environment. 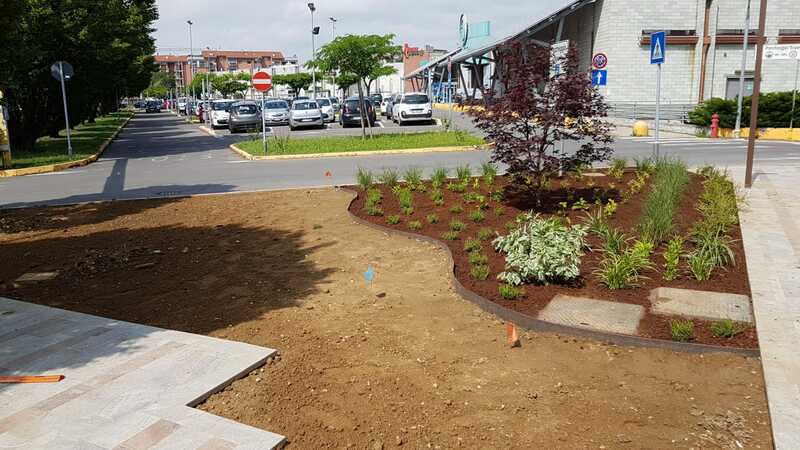 One of our most satisfying accomplishments has been to create projects to reduce environmental impact and air pollution levels. 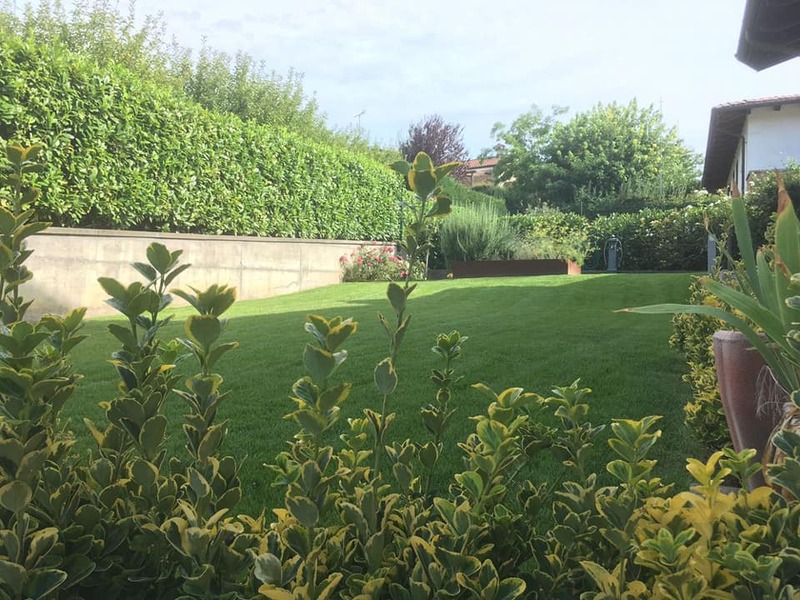 Protecting the world we live in, increasing the number of green areas throughout the country to counterbalance urban and industrial areas, is part of our plans. 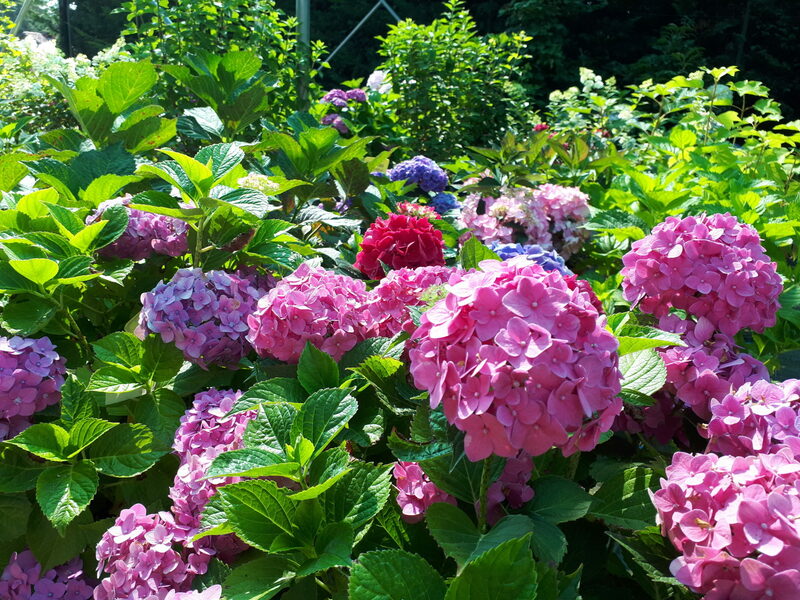 In a certain way, we could say that all of our customers cooperate with us to create a better world. 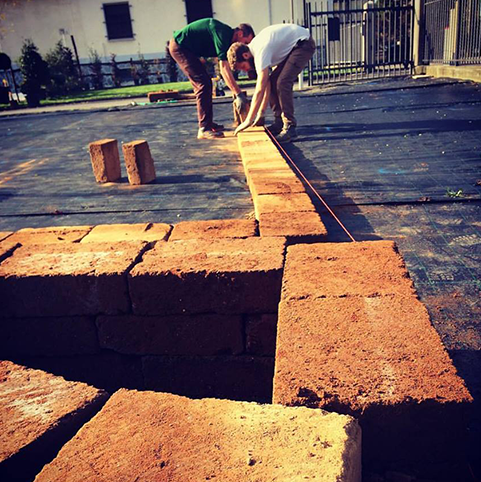 In order to achieve this outstanding purpose we are constantly seeking new partnerships. 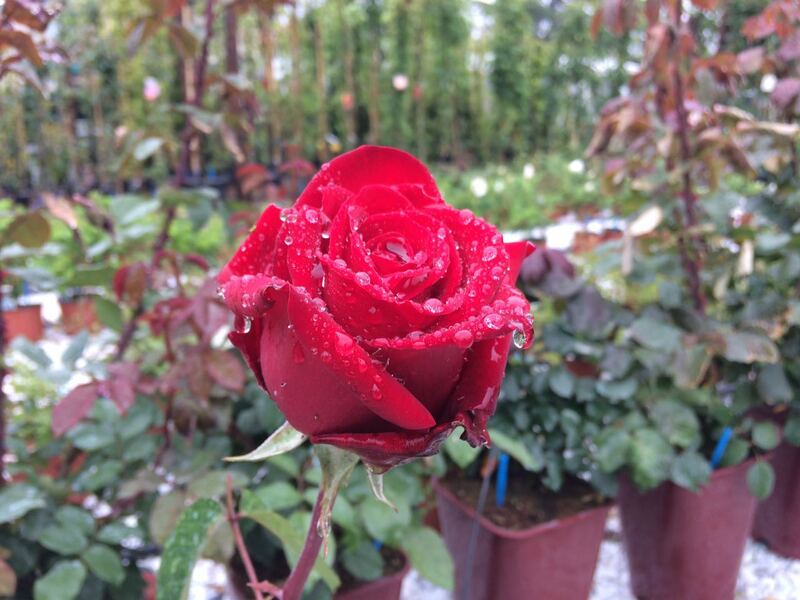 The selection of plants is performed with great precision, according to season and type of production, considering climatic features peculiar to each geographical area. 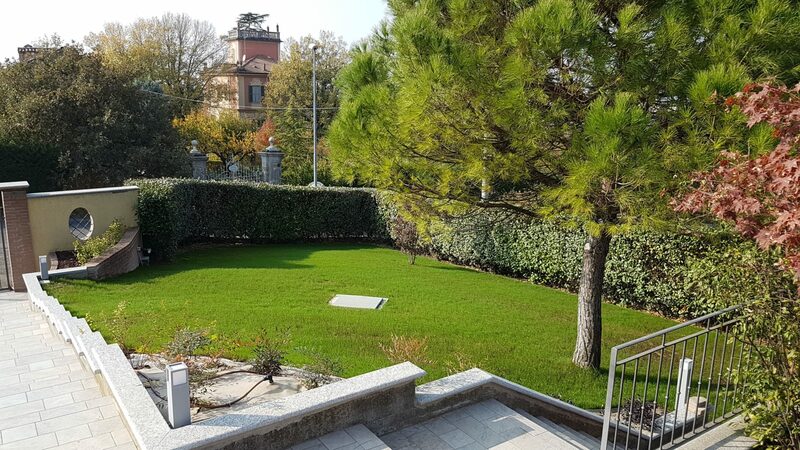 We constantly monitor the daily performance of both the Italian and international market. 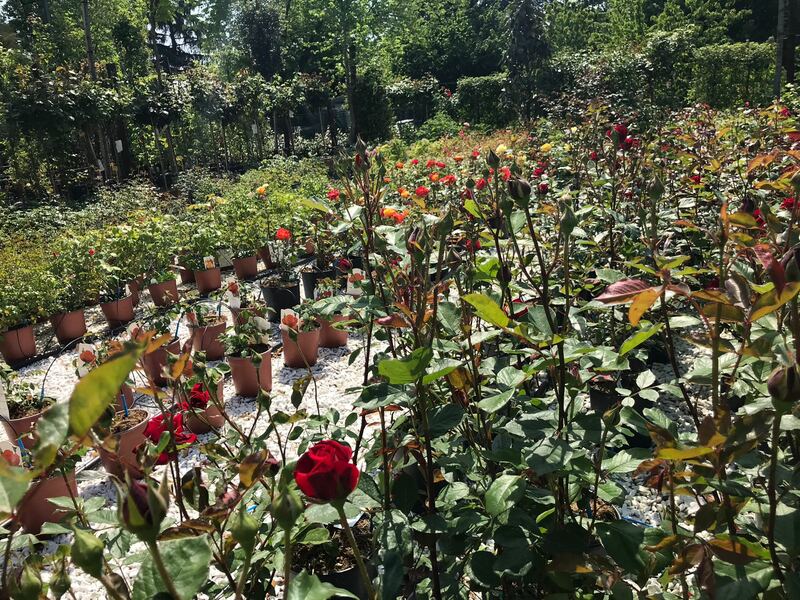 Thanks to the constant monitoring of prices on the nursery market and our expertise, we are able to make the best deals for our customers. 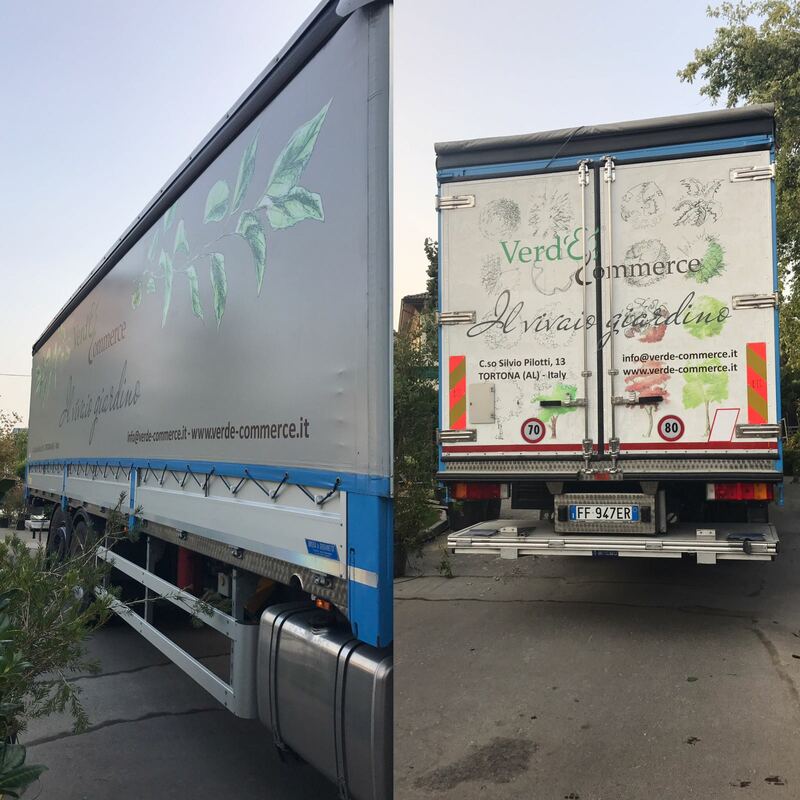 Verde-Commerce holds the standard certificate of registration on the official register of manufacturers issued by the Regional Plant Health Service of Piedmont. 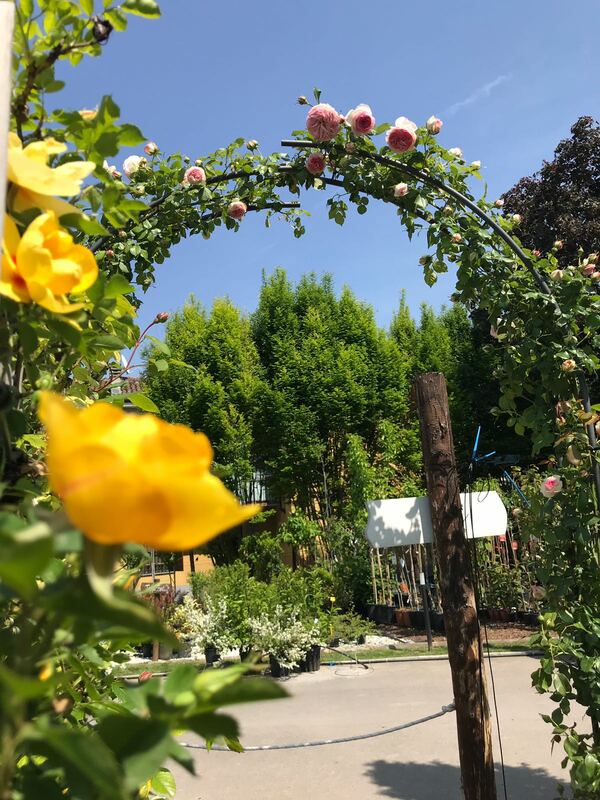 “Kepos“, literally protected fence, is the most complete word used by the ancient Greeks to identify the garden: we look for paradise in it, which is not the paradise lost, but the paradise still to be built and the model to follow is the garden of the Gods, symbol of life. 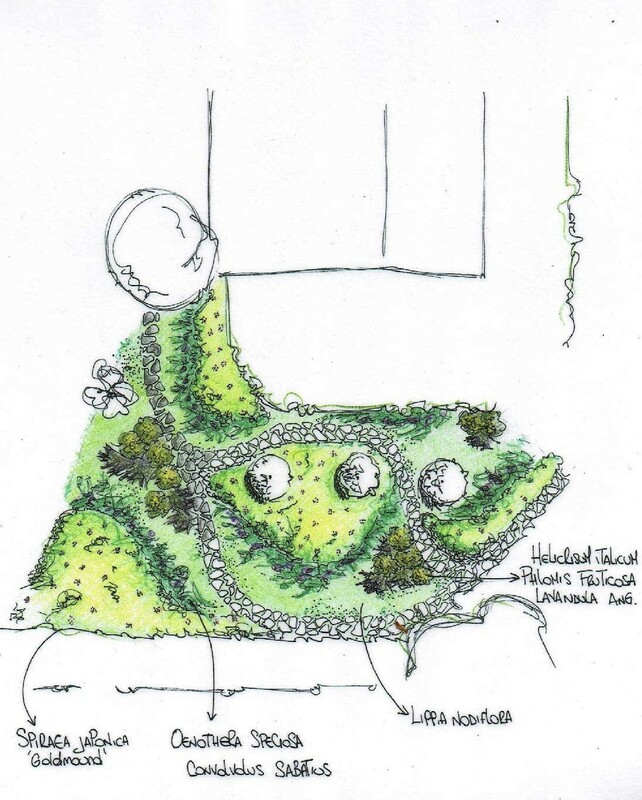 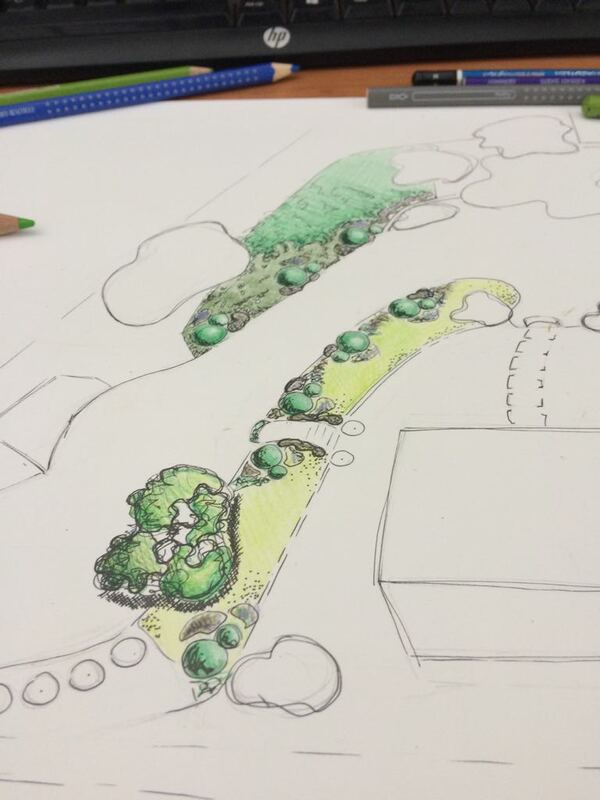 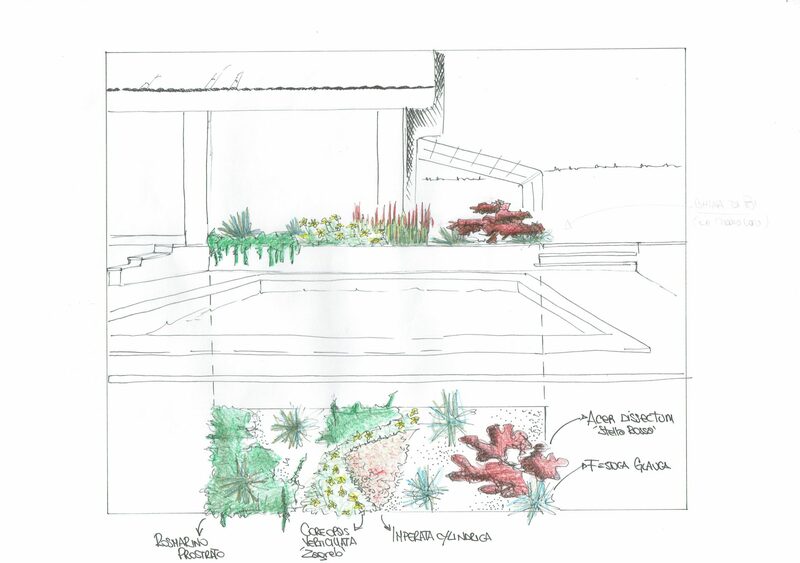 The design phase is followed by the actual realization of the garden. 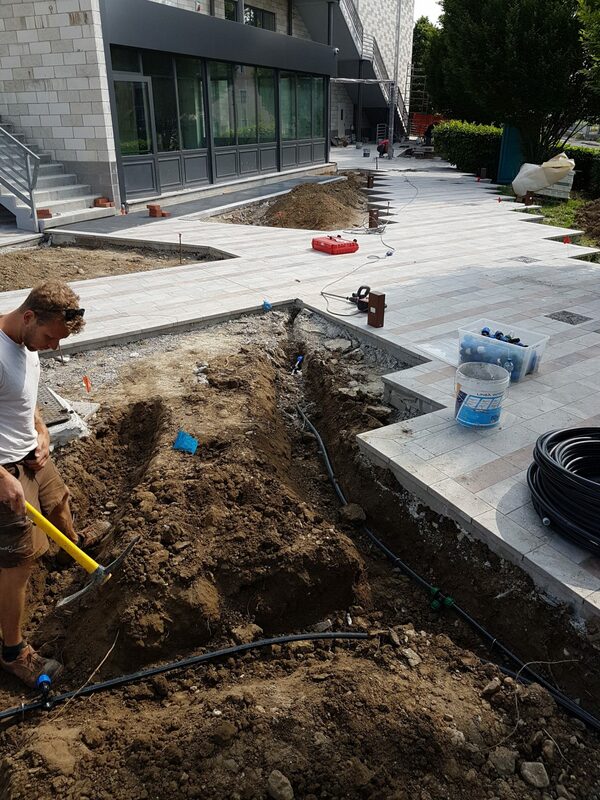 And now it’s up to the gardener. 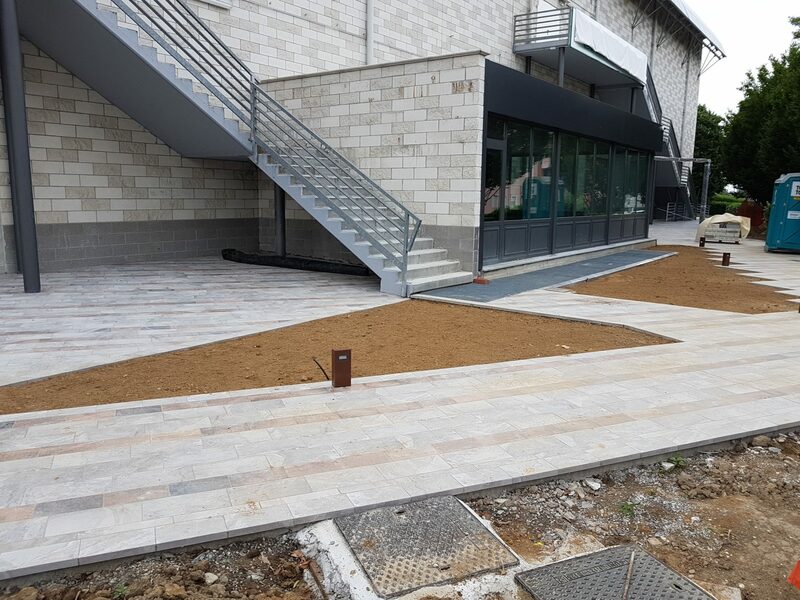 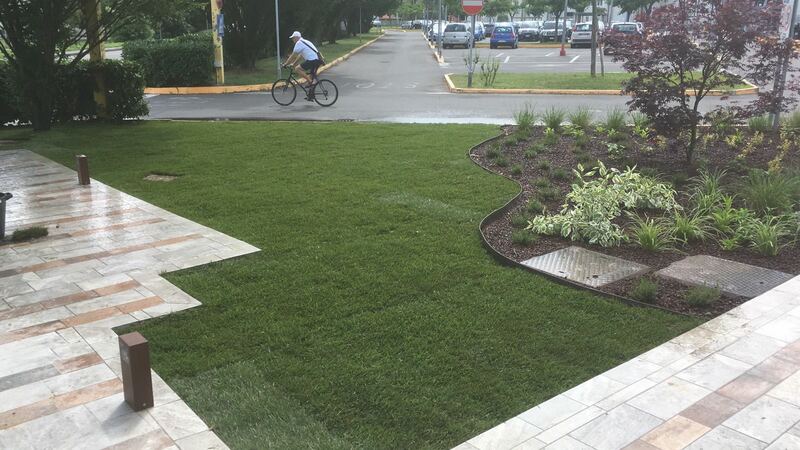 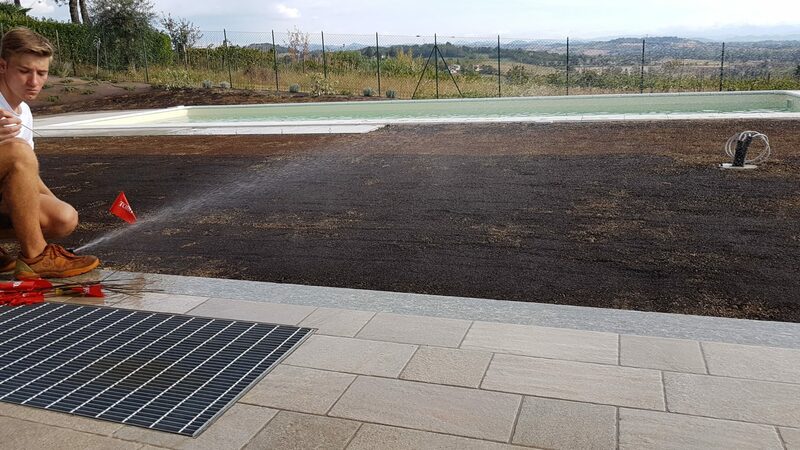 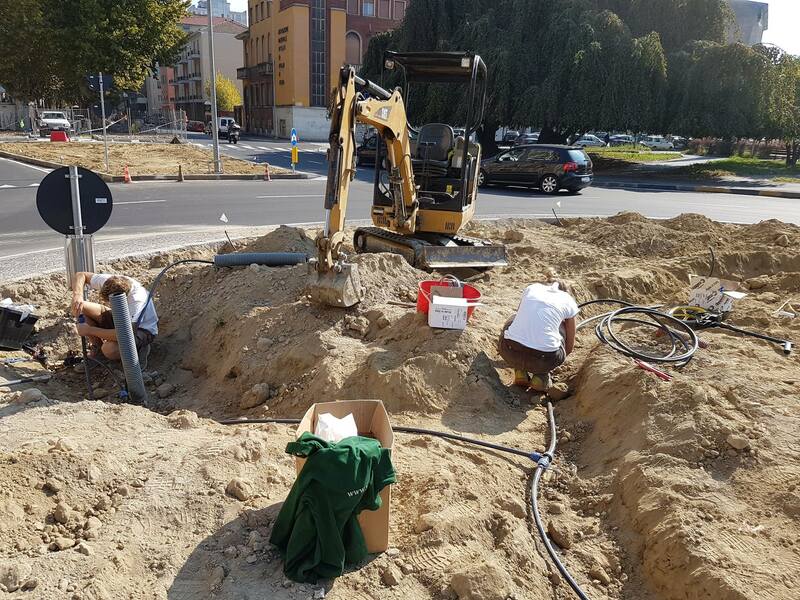 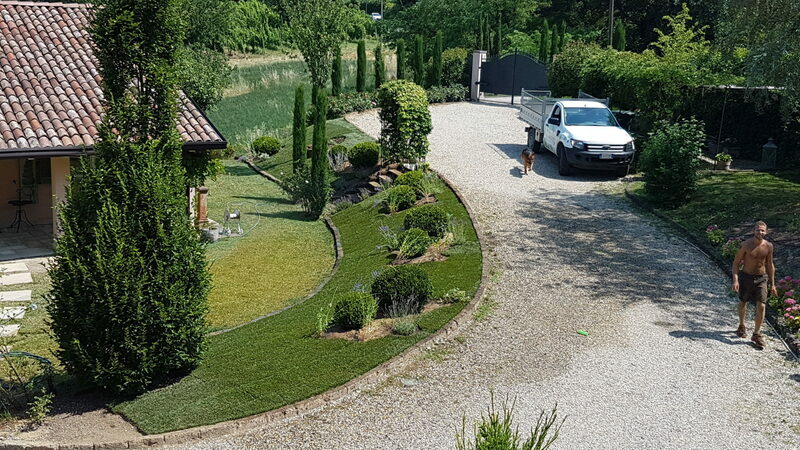 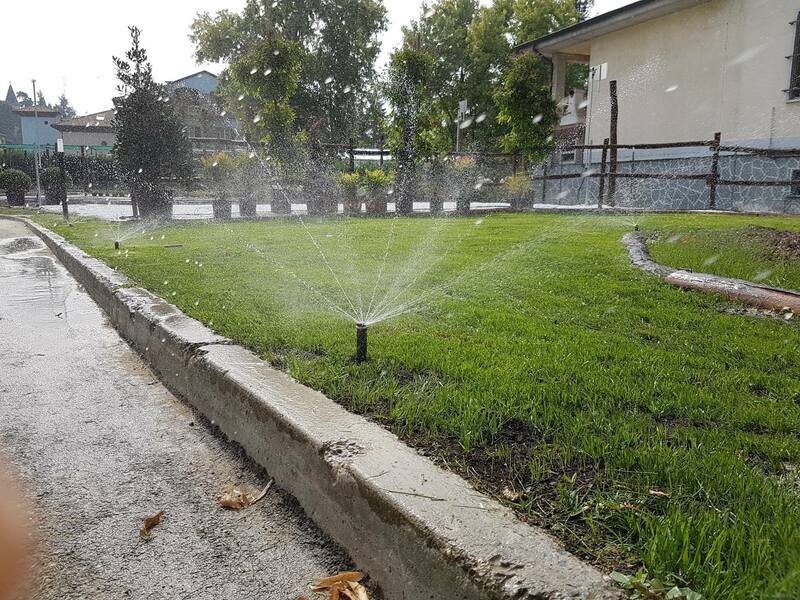 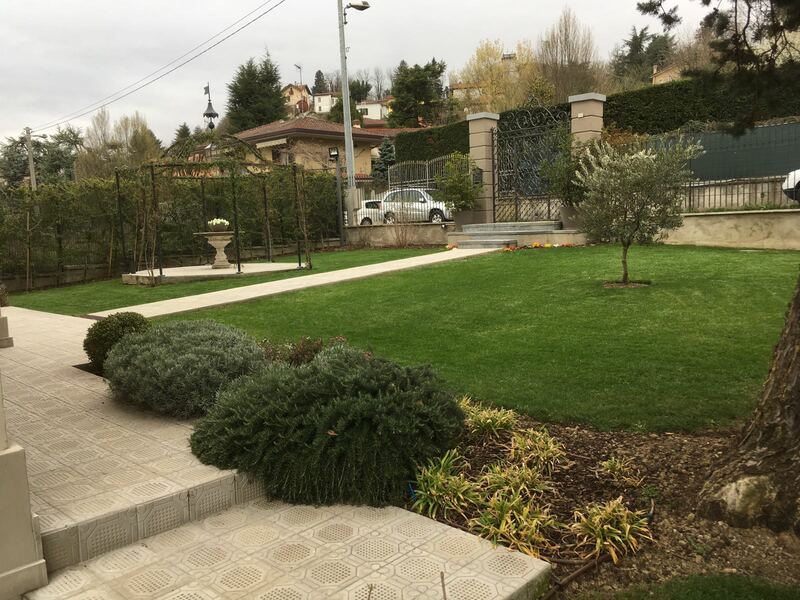 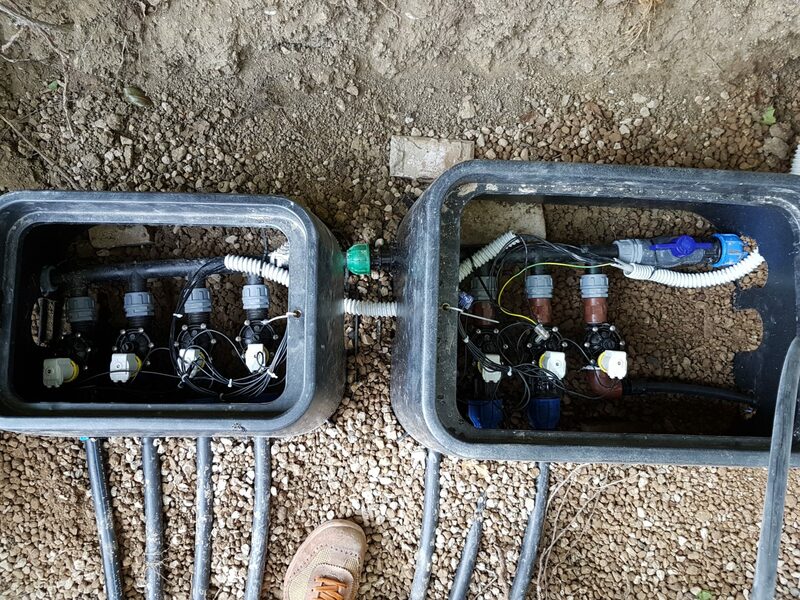 We offer a full and complete service, starting from the planting, to the creation of carpets of grass, to the construction of the irrigation system, as well as cleaning, waste disposal and maintenance. 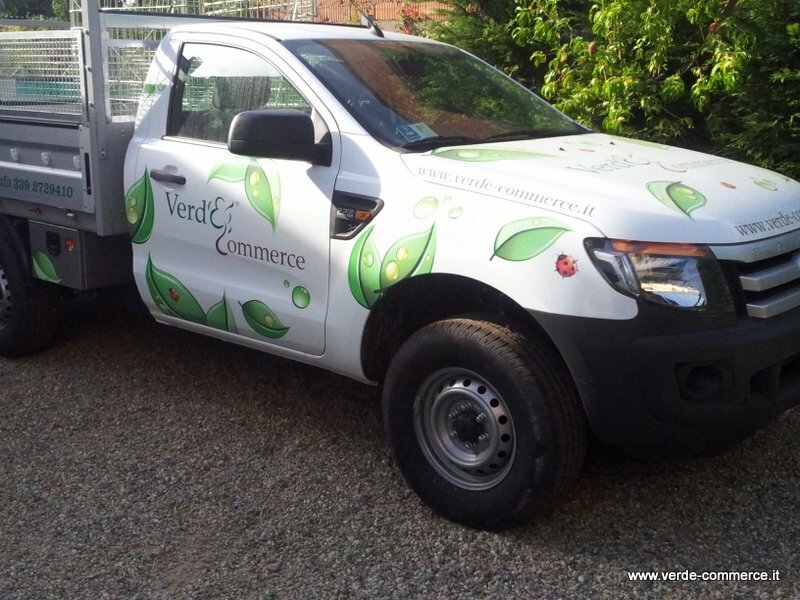 Get in touch with Verde-Commerce advisors for immediate support. 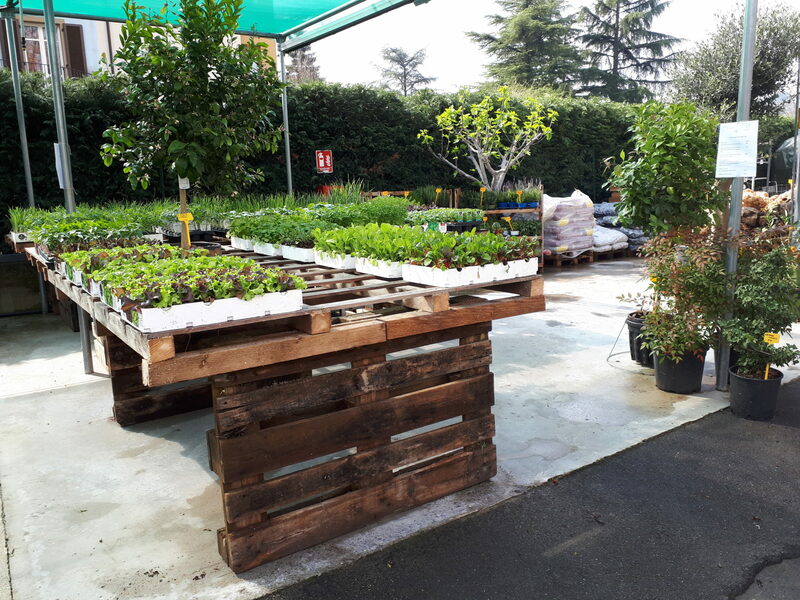 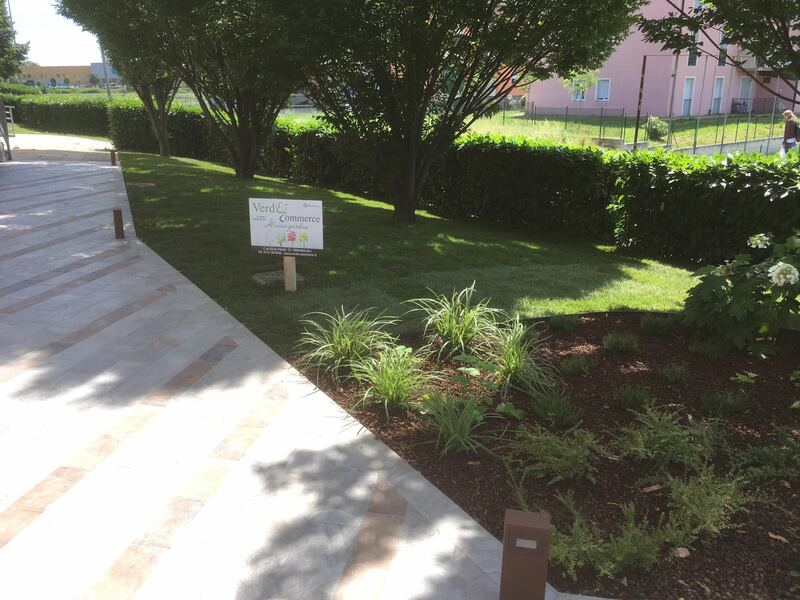 Verde Commerce plant nursery operates throughout Italy and is able to respond to any type of request in terms of greenery, guaranteeing first-hand the origin and quality of the products provided. 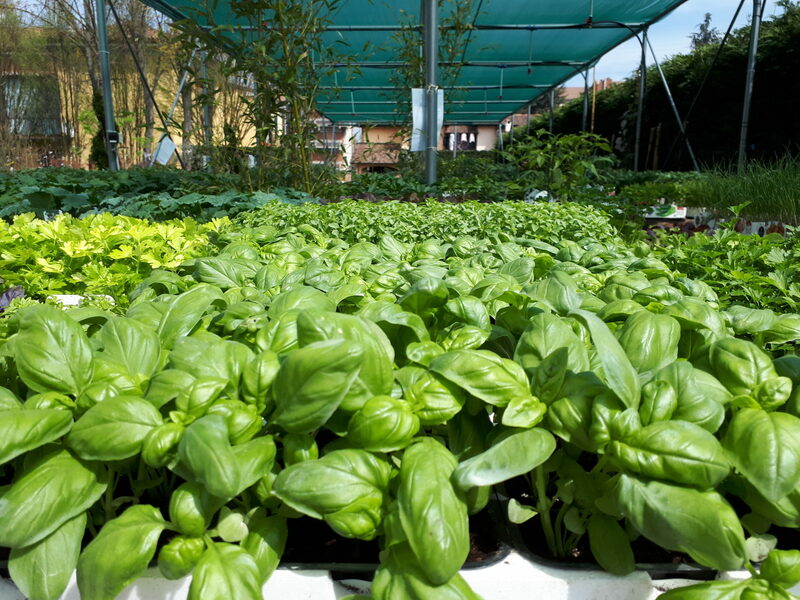 Selection of plants is performed with great precision, according to season and type of production of each nursery with which we work. 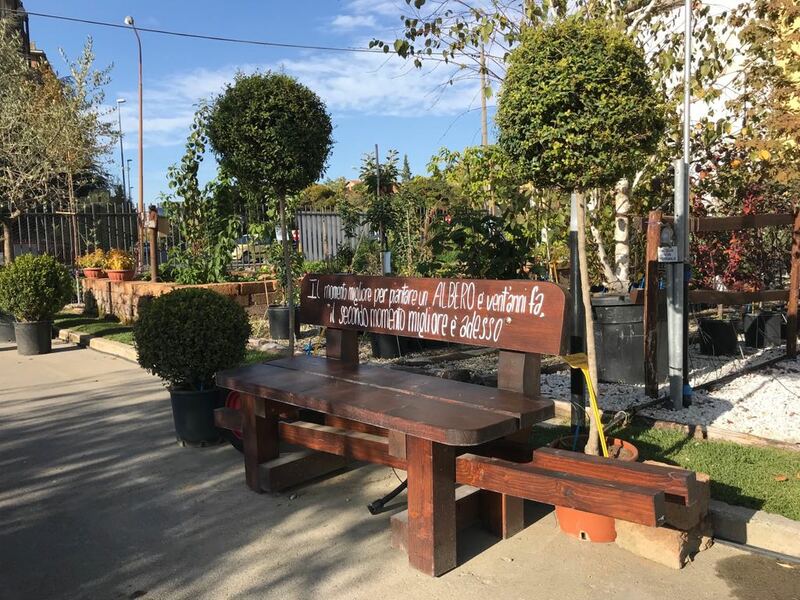 The company is entitled to trade abroad as it holds recognition as intra-community operator, art.27 Legislative Decree 78/2010. 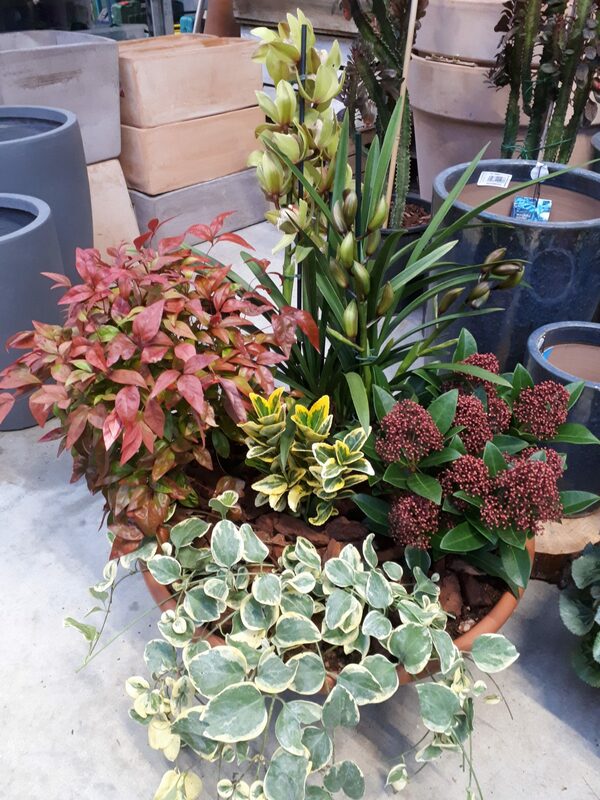 YOUR SAVINGS GROW WITH US! 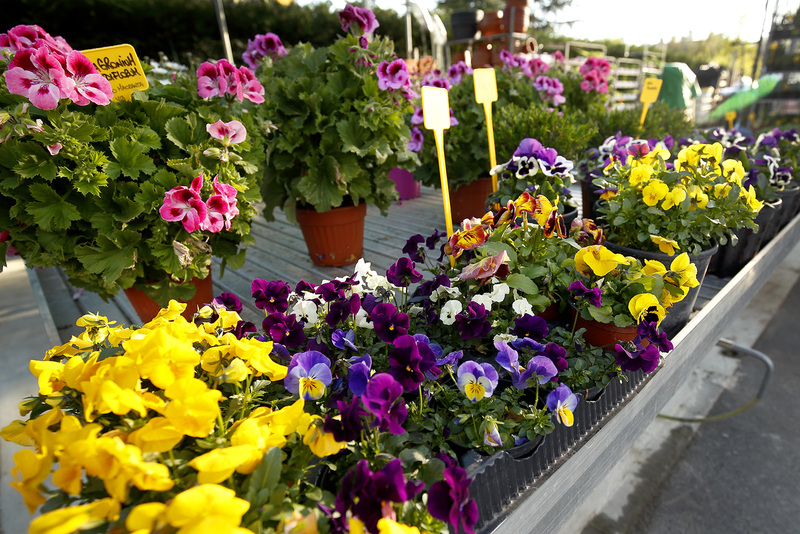 We strive for customer satisfaction while offering the best service at the right price! 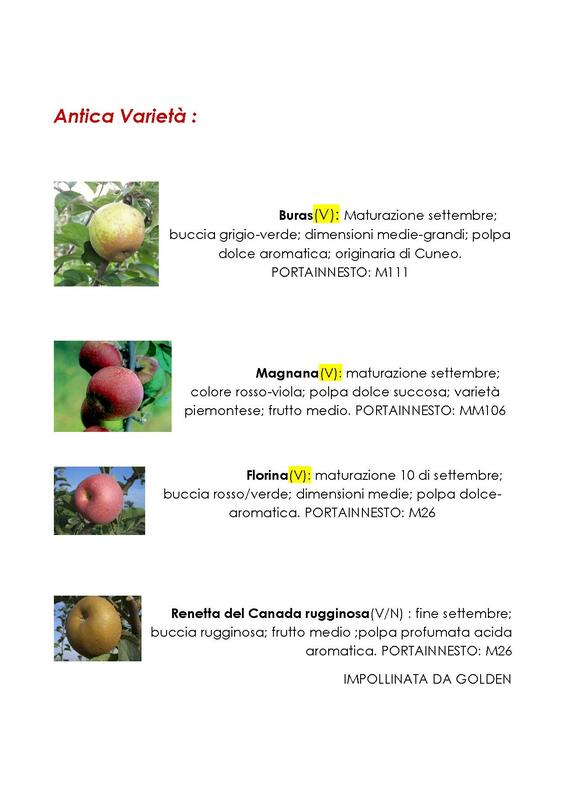 Verde Commerce sells plants guaranteed by a standard plant passport under art.26 Legislative Decree 19/08/2005. 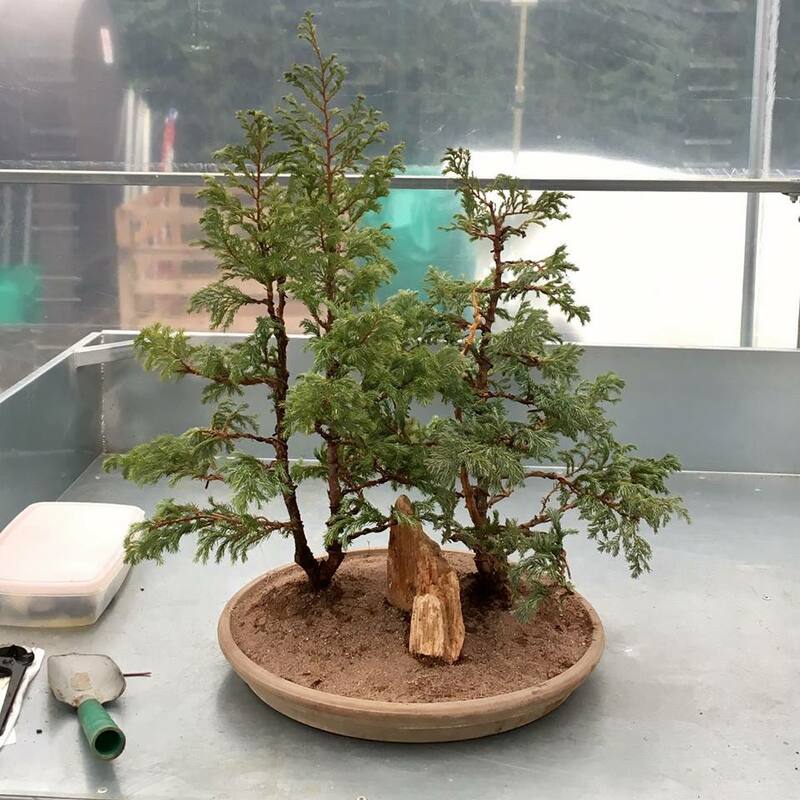 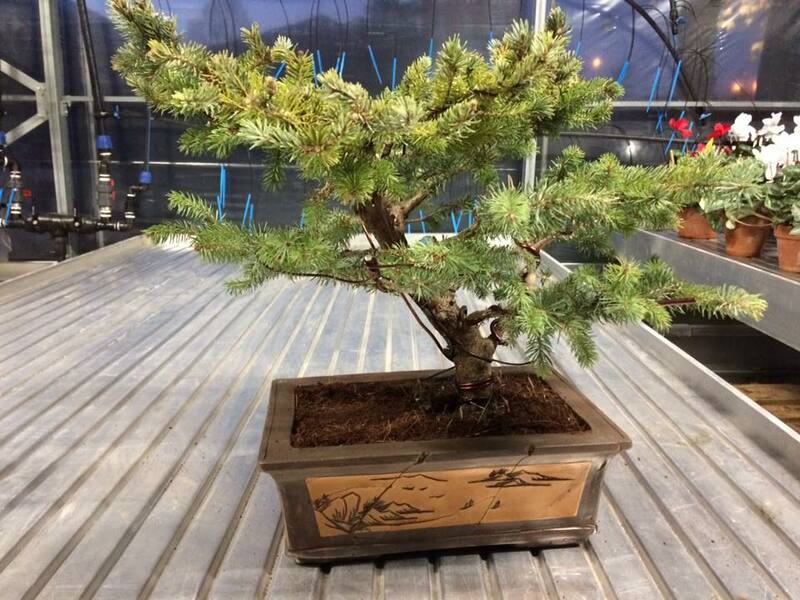 The art of bonsai trees is extremely ancient, delicate and complex, and it takes time and patience to learn it properly. 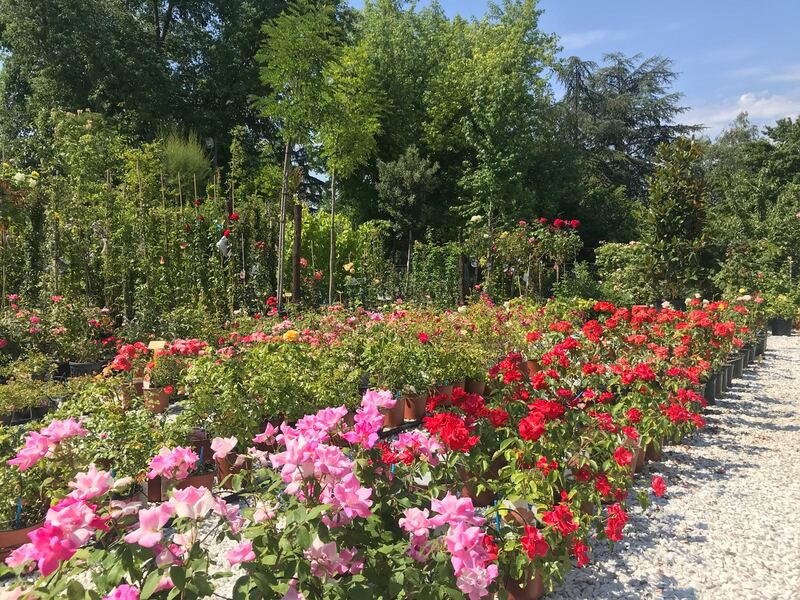 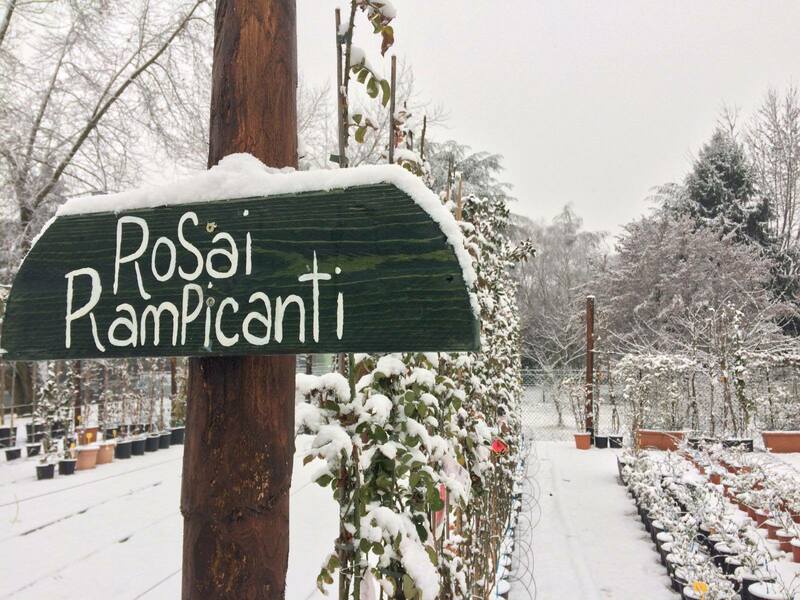 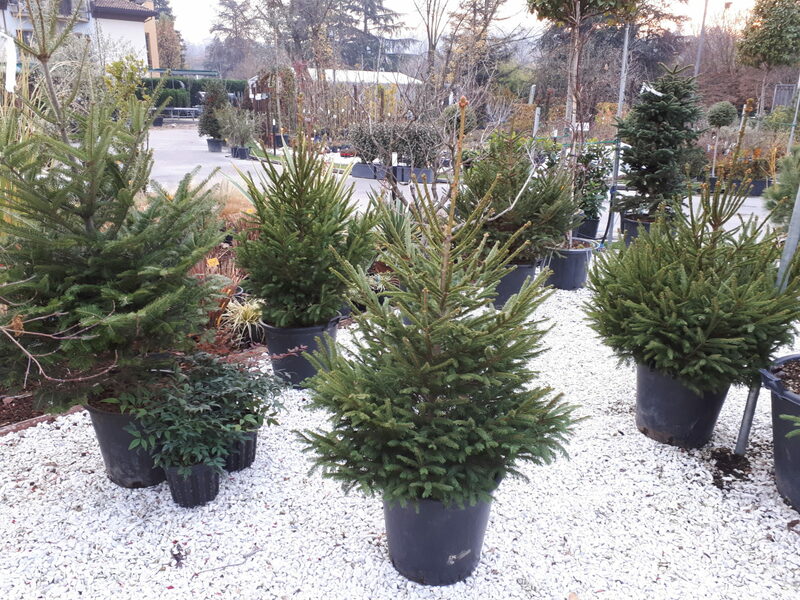 For enthusiasts or simply curious, an area of the nursery is totally dedicated to these little big piece of art, the result of work and knowledge of Maurizio. 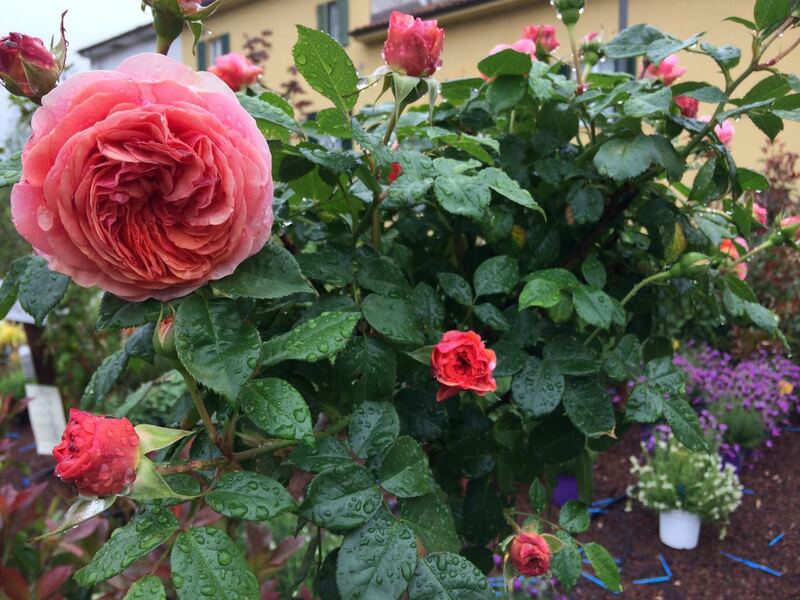 The rose, the flower full of symbols and meaning recurrent in history and mythology, deserved a fully dedicated area with Climbing roses, landscape roses, groundcover and shrub roses. 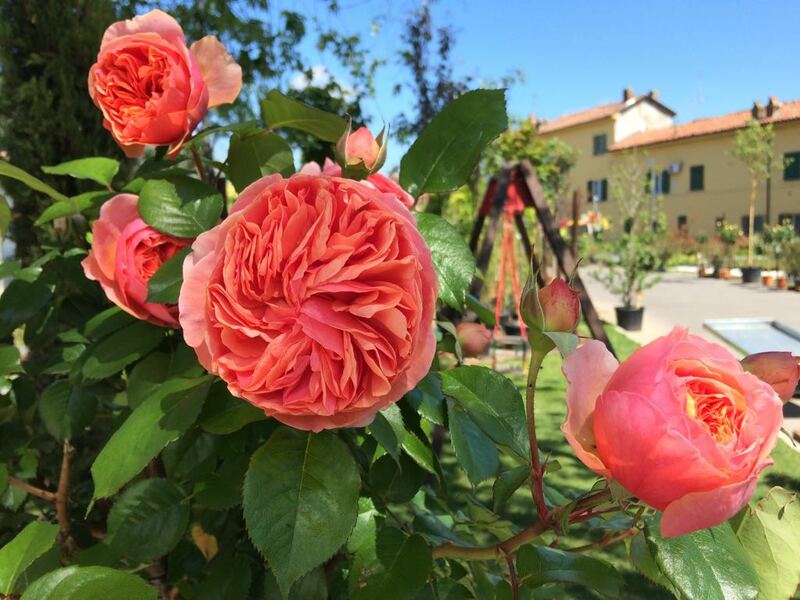 And then finally, the most scented, colored and unique flowers: the “author’s roses” that have been selected among the most beautiful roses proposed by the best brands (David Austin, Meilland, Tantau). 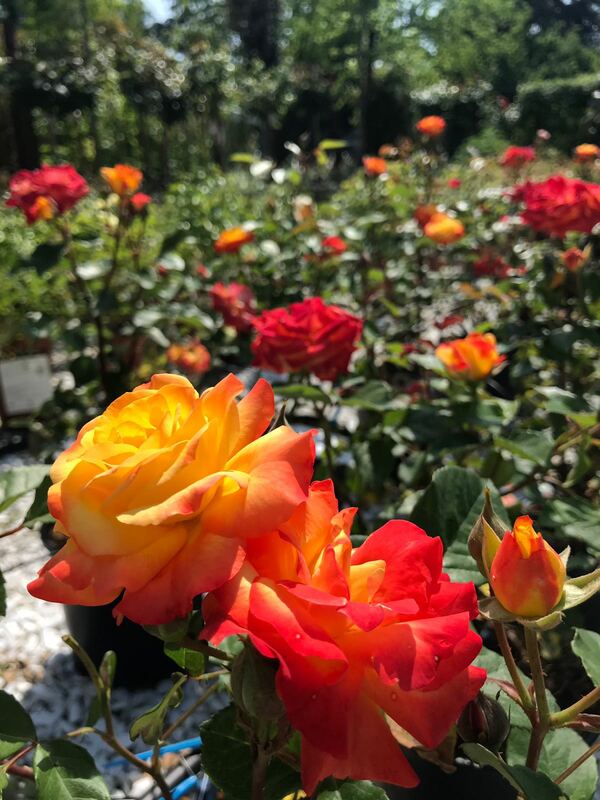 There are those who love classic flavors, there are those nostalgic for colors, scents and antique tastes and there are those who are curious and looking for something different. 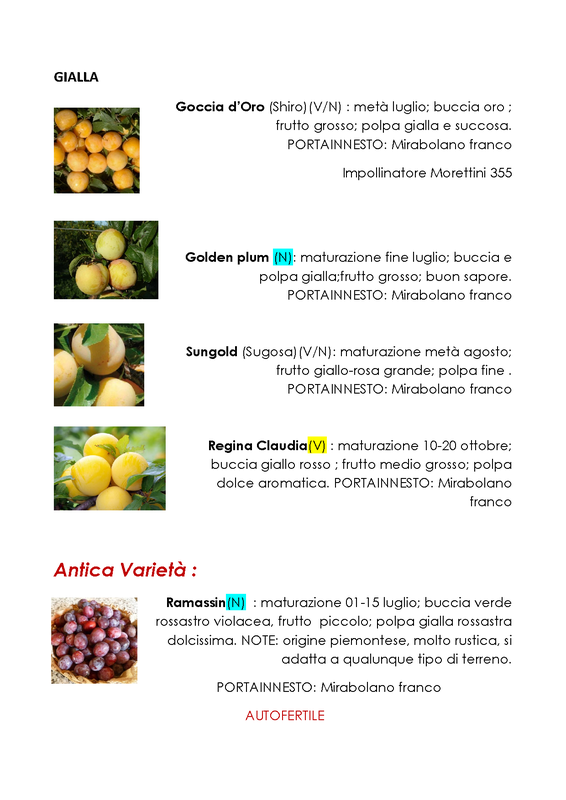 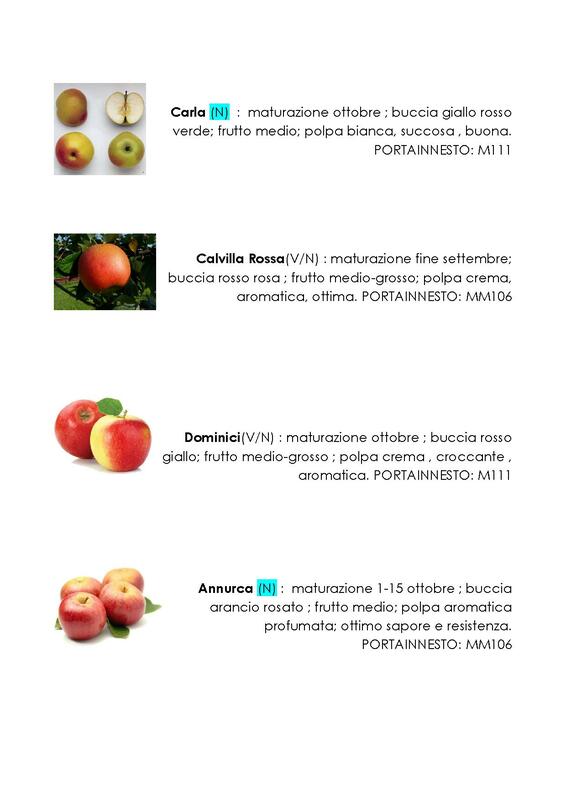 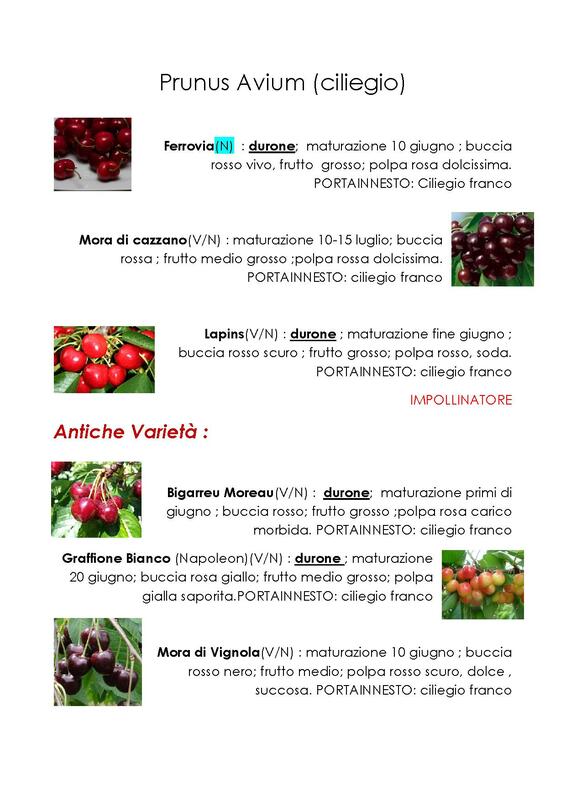 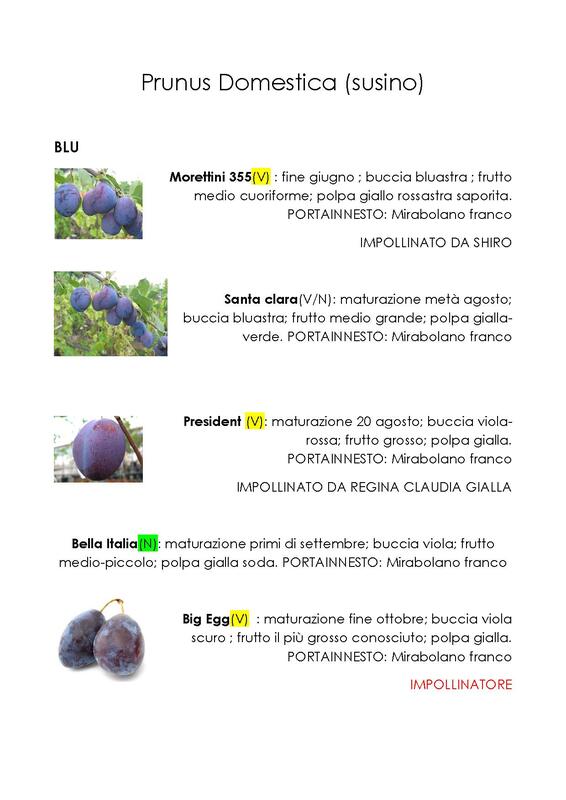 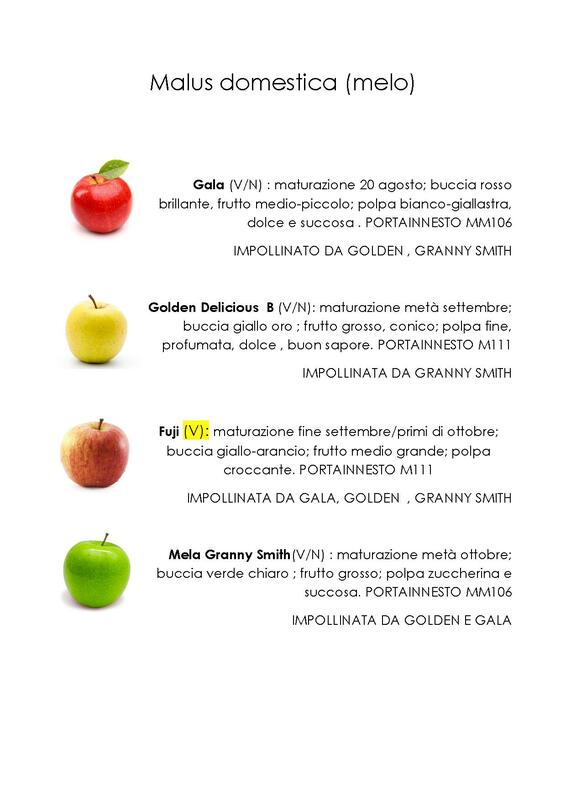 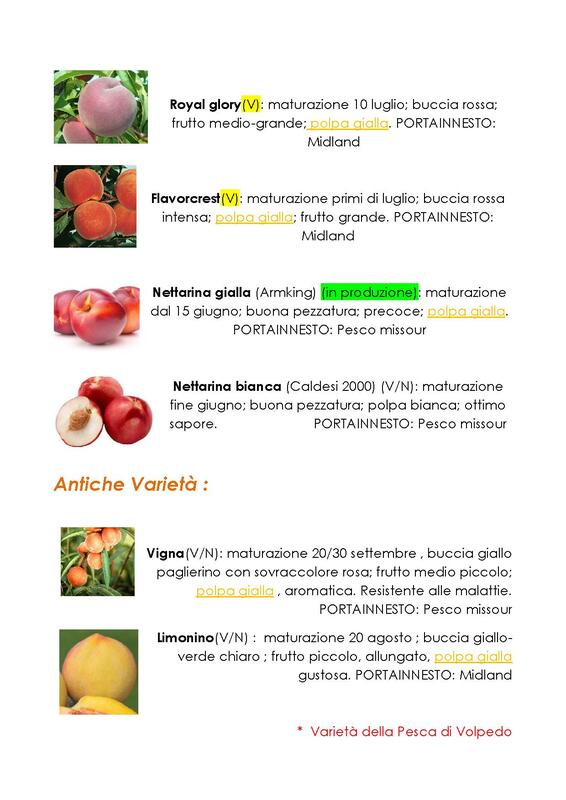 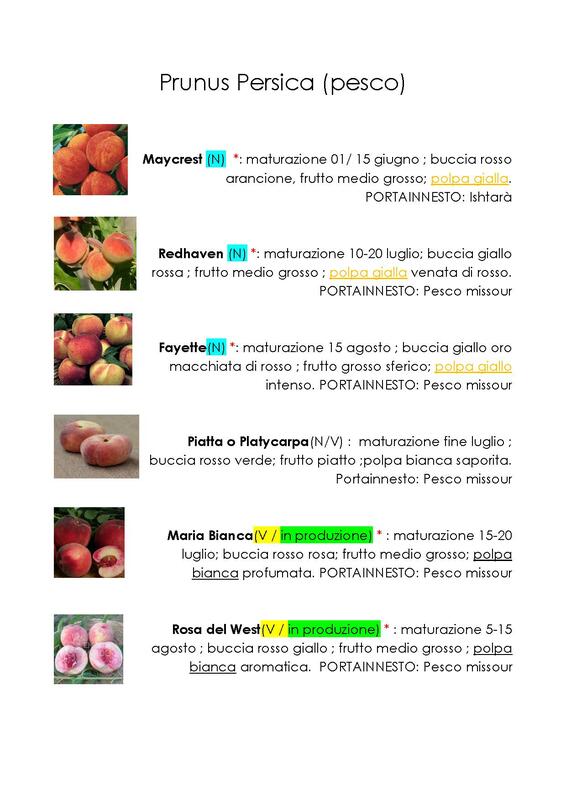 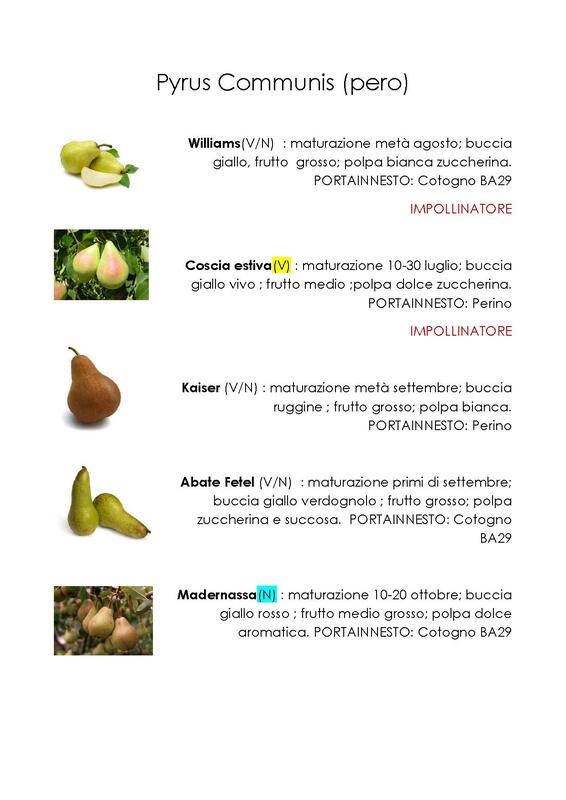 Anyway, that the apple is either Gala or Buras, Williams or Martin Sec, that the peach is either Vista Rich or Vigna, Giuggiolo, Bircoccolo or Gelso, we have a fruit for every palate! 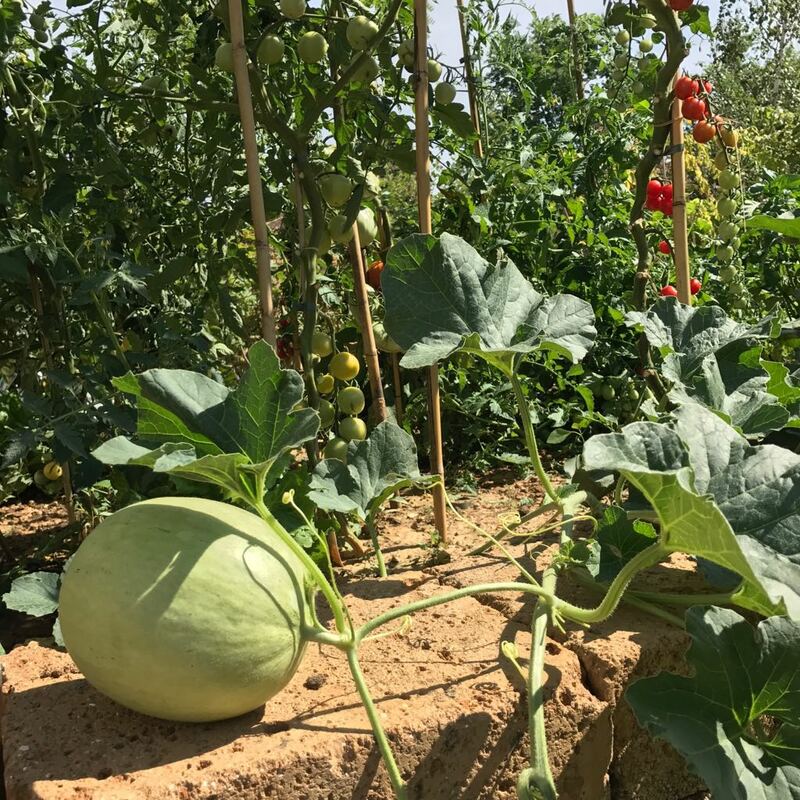 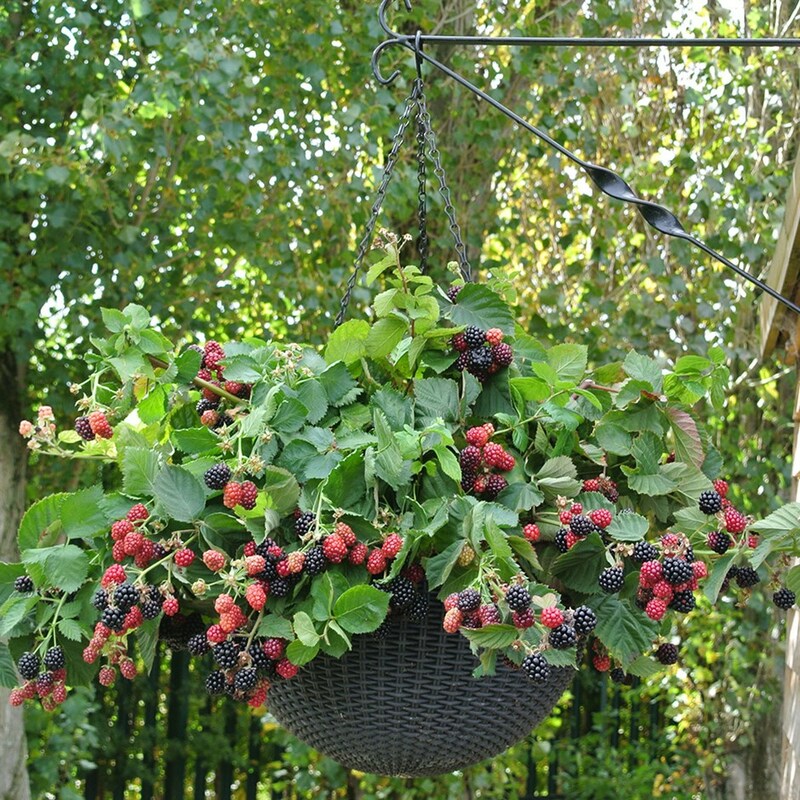 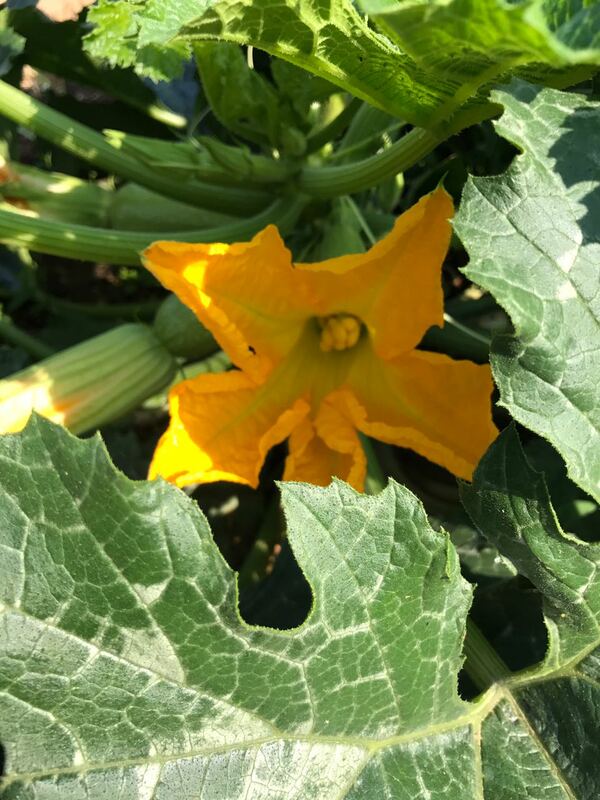 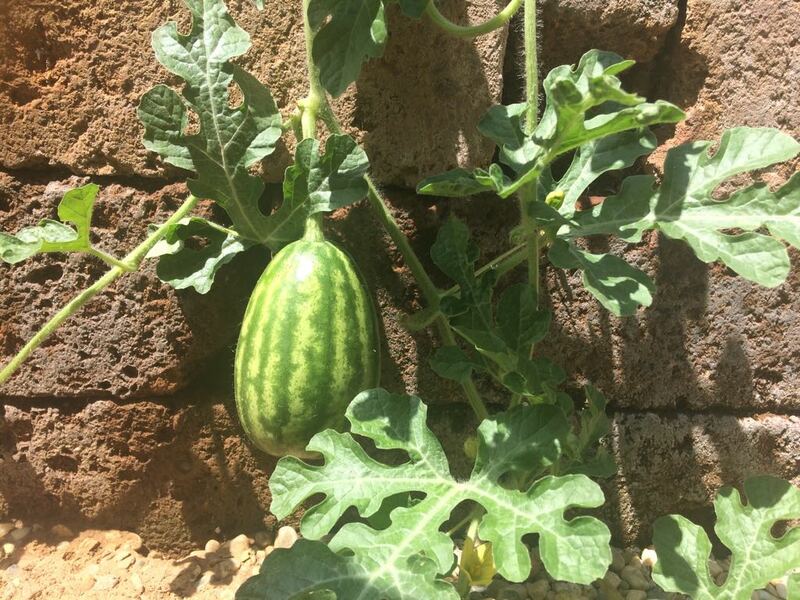 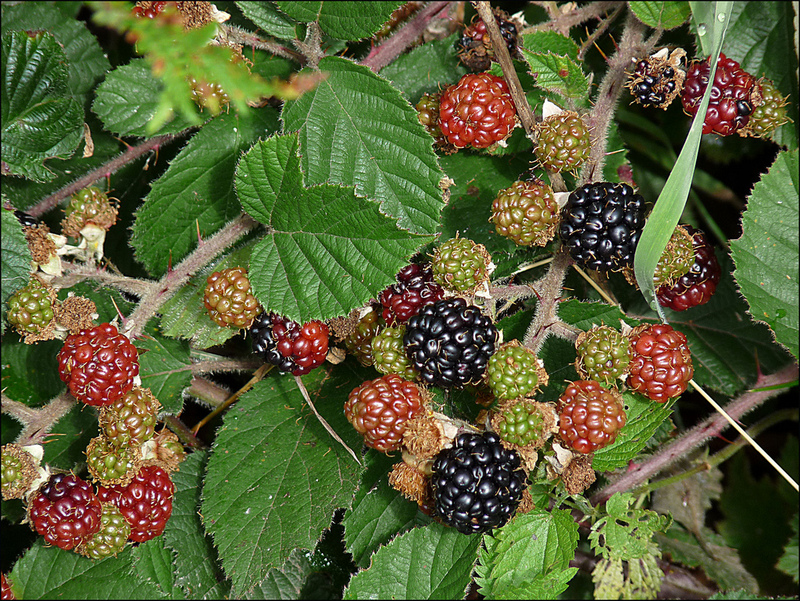 The art of garden cultivation, as well as many others in the gardening world, requires considerable effort and knowledge, but you will enjoy its fruits like a few others! 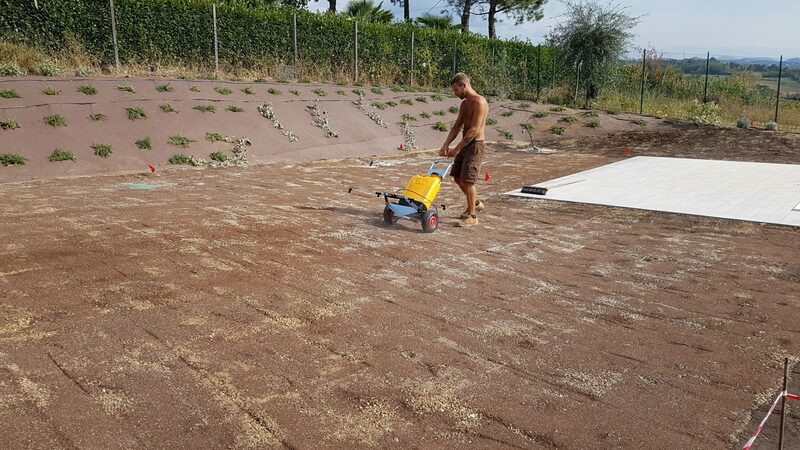 Vegetables, small fruits and colored bulbs are alternated within tuff tubs, trying to create a true garden where tradition and originality are perfectly blended. 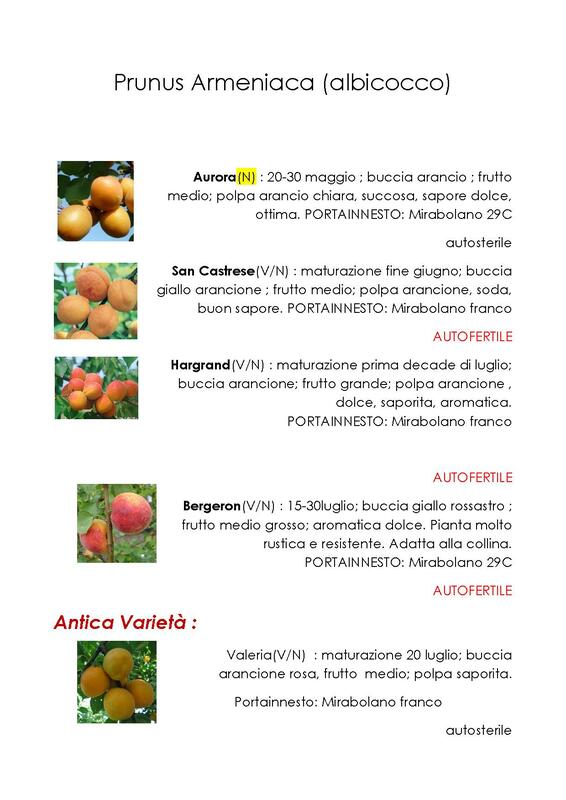 This is the principle we follow to select for you garden fruit and seedlings, paying particular attention to the quality of the products. 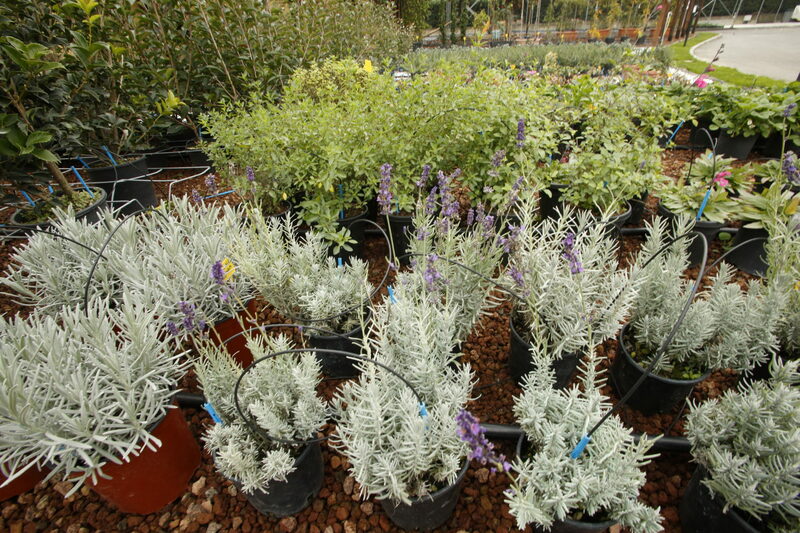 Perennials are plants that live more than two or three years. 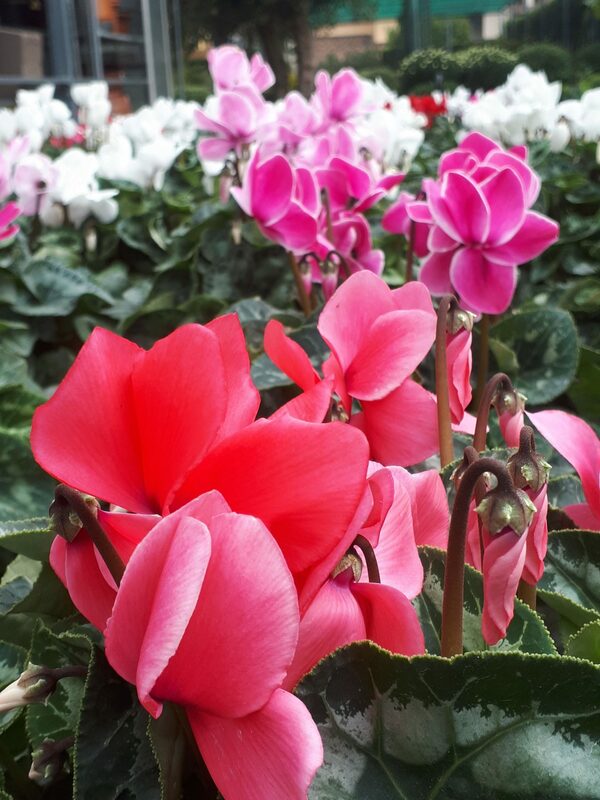 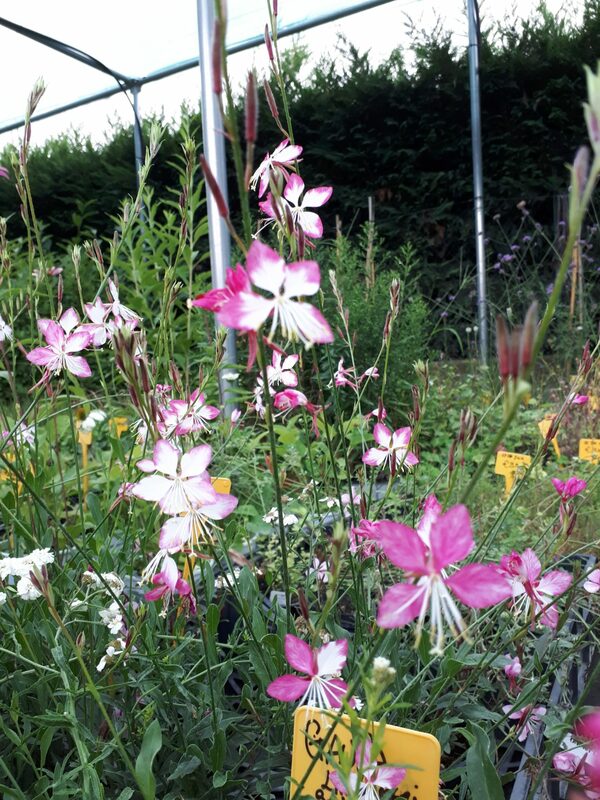 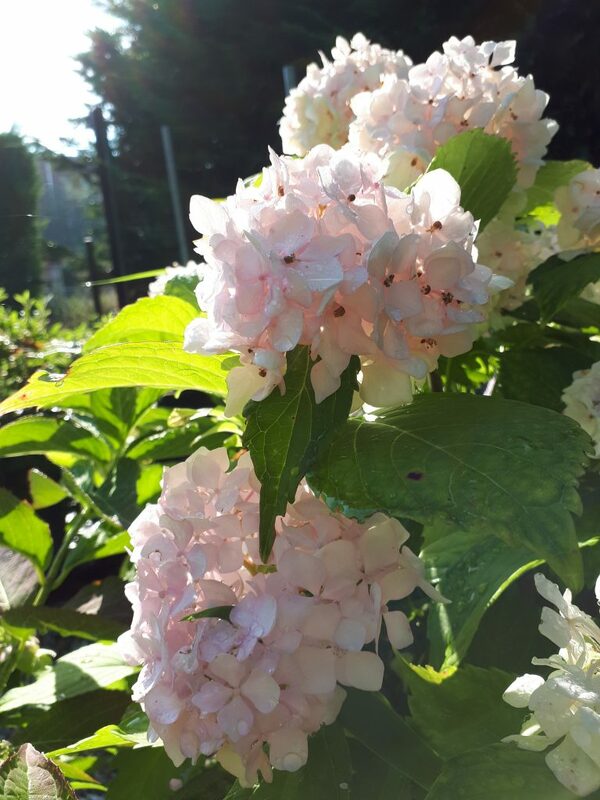 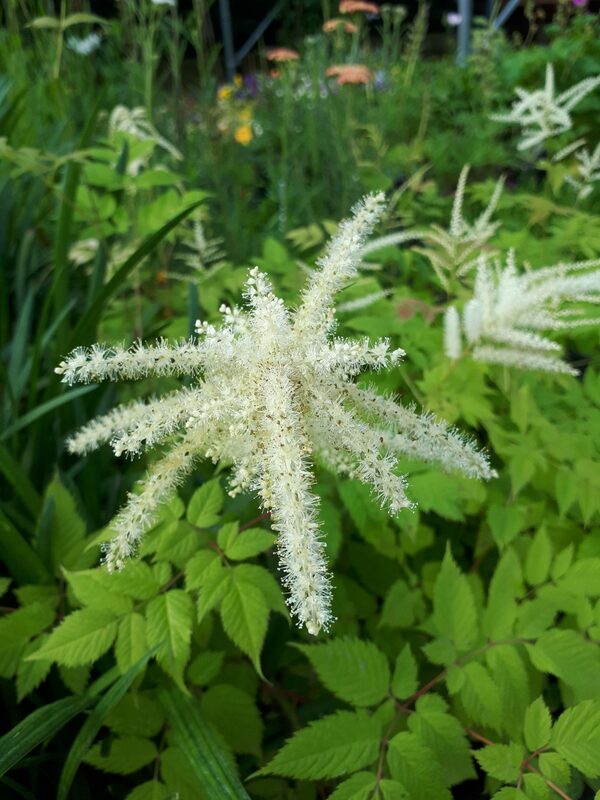 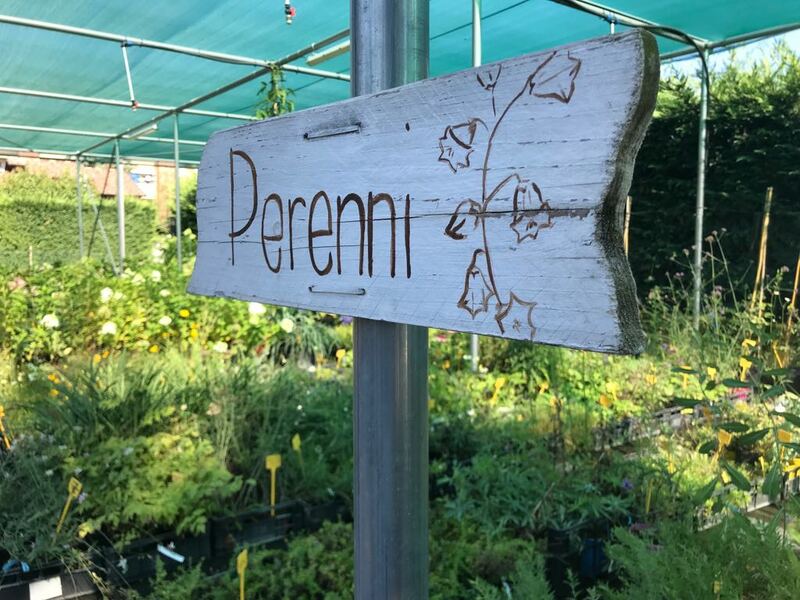 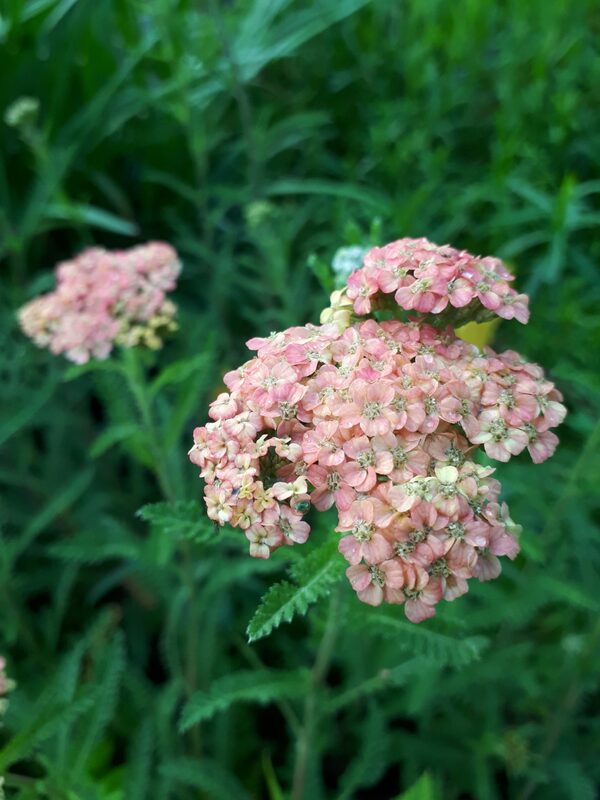 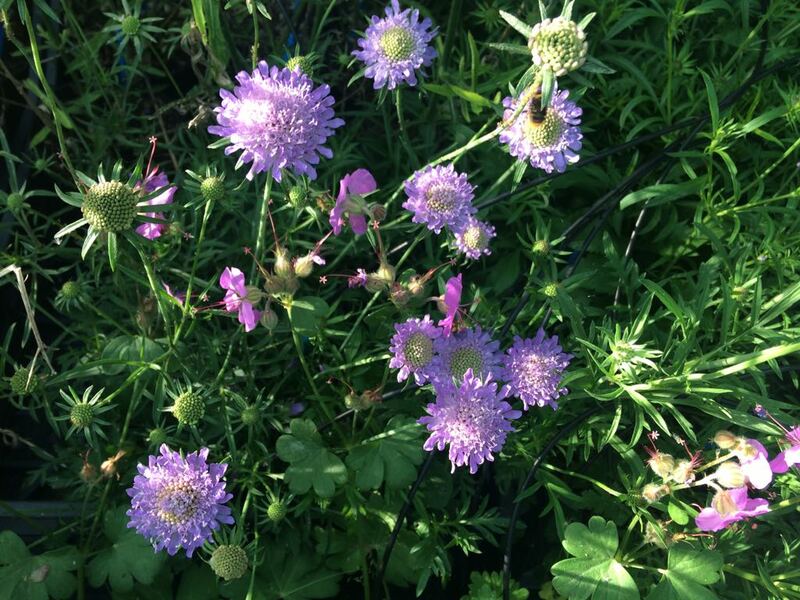 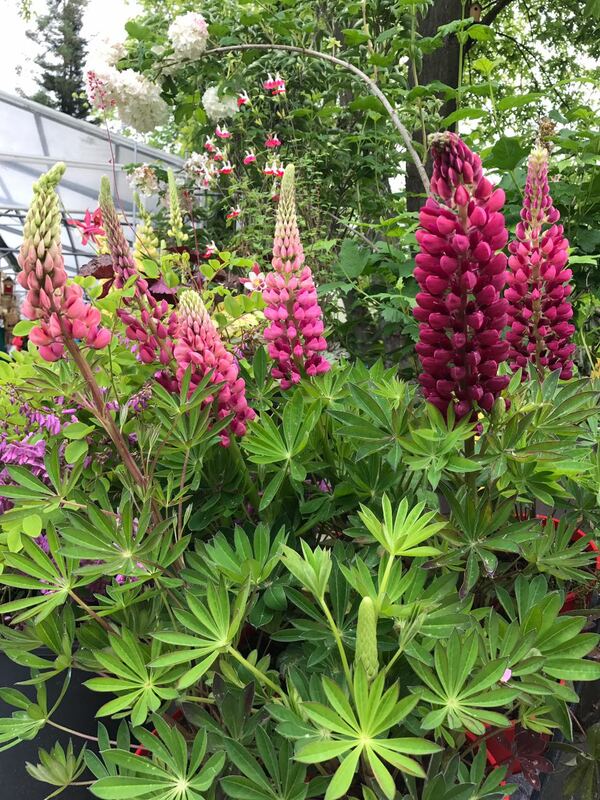 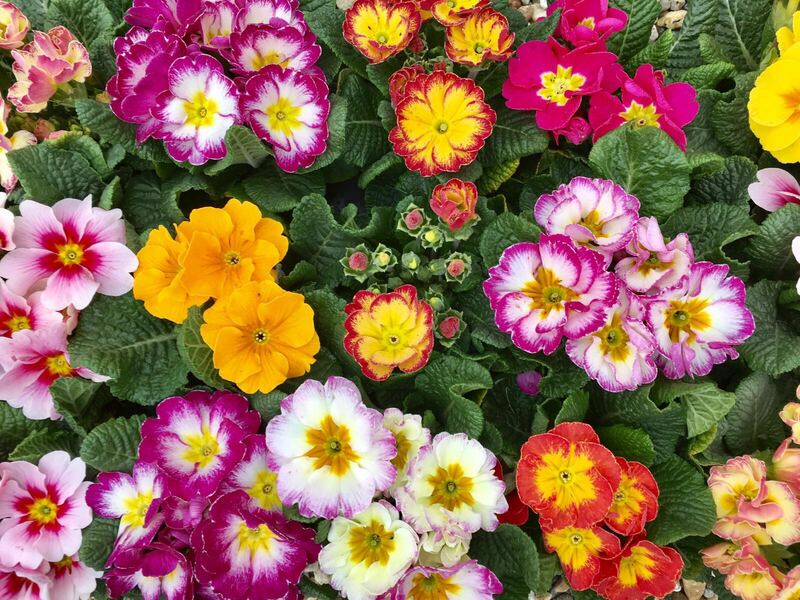 Perennials, especially small flowering plants, that grow and bloom over the spring and summer, die back every autumn and winter, and then return in the spring from their rootstock, are known as herbaceous perennials. 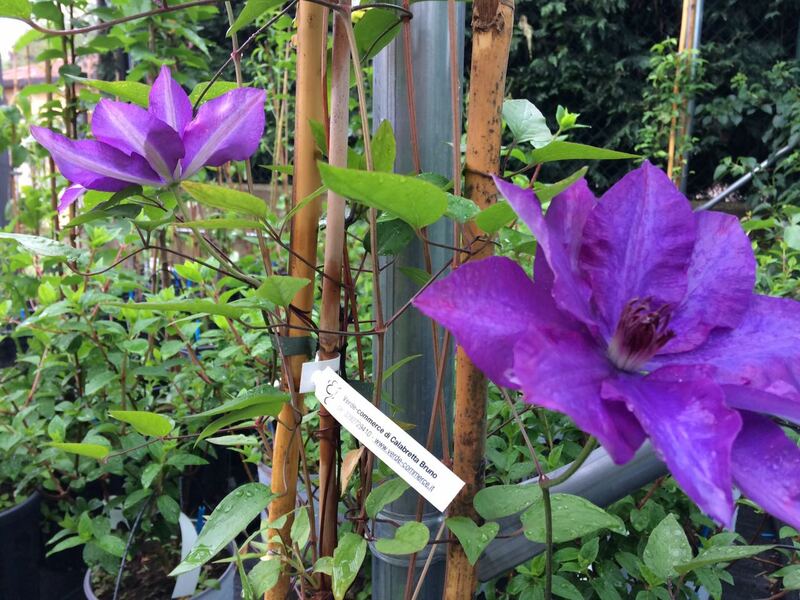 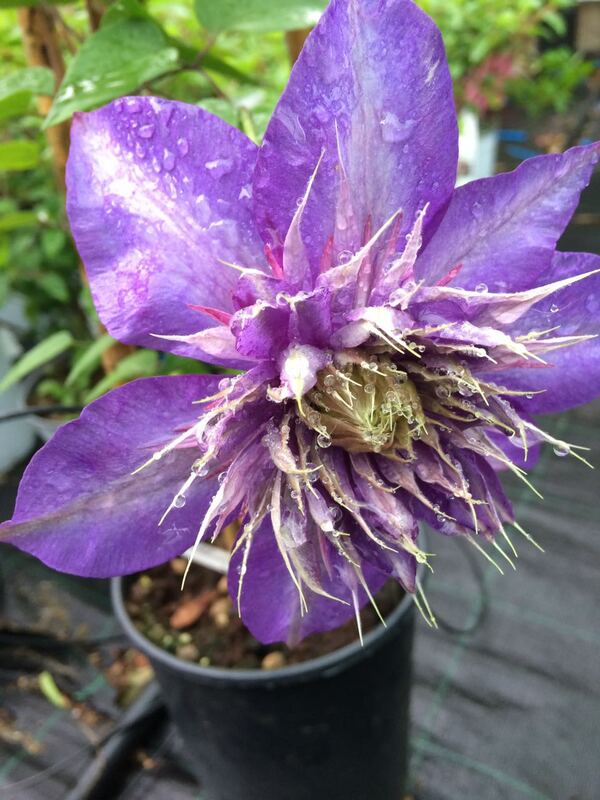 Clematis is a wellknow plant since time immemorial, in fact “Clematis” is one of the oldest botanical denominations. 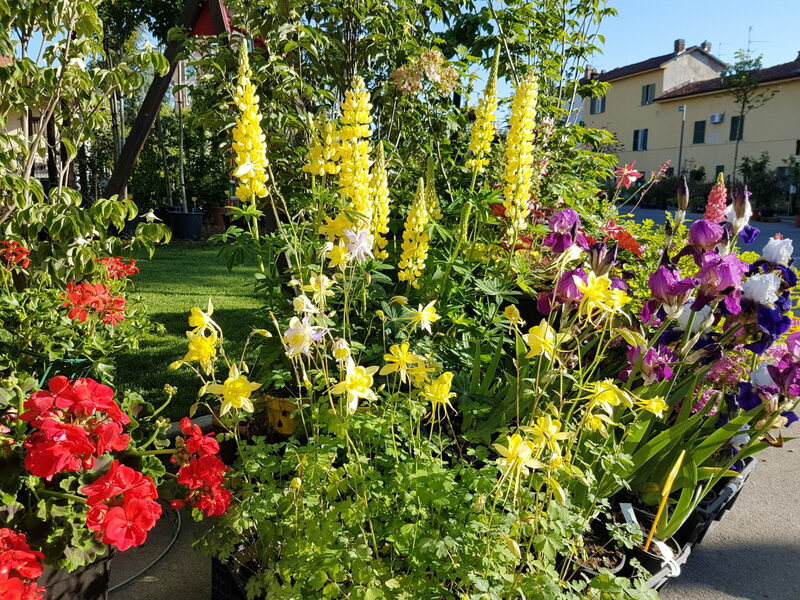 It is among the most popular of all garden plants in several countries, such as England, but still not widespread and appreciated in Italy so far. 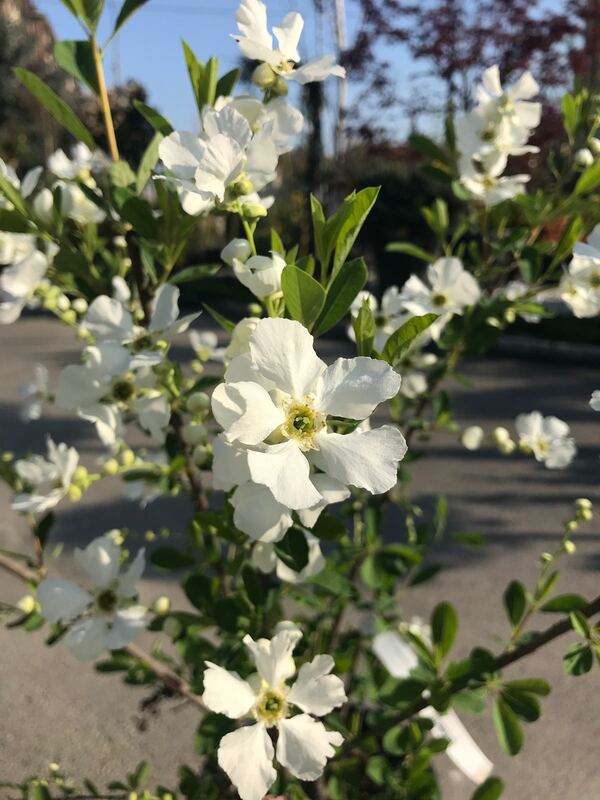 Not so easy to cultivate, however, due to its beautiful blossom, it is able to repay all the care and attention it requires. 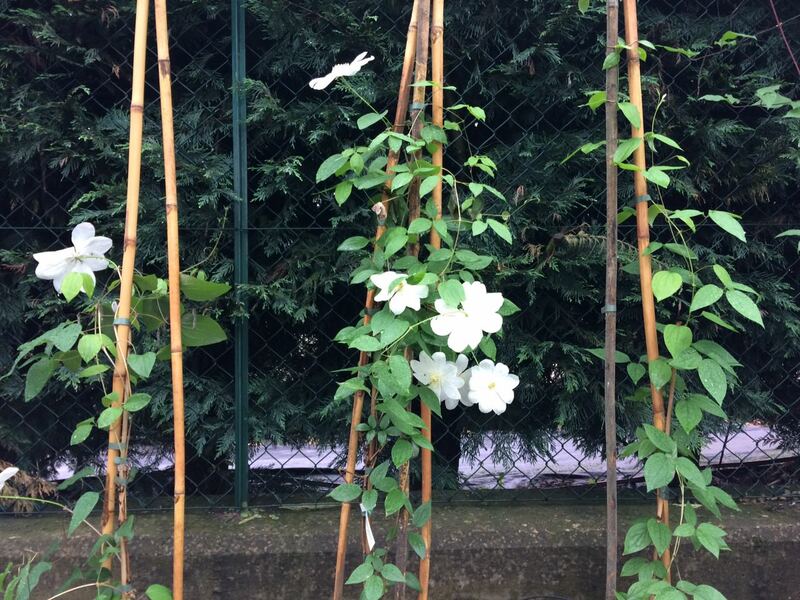 If it is true that beauty requires (a bit) of sacrifice, then we have decided to propose this amazing climbing plant in the following selections: Viticella, Evergreen, Montana, Hybrid and Herbaceae. 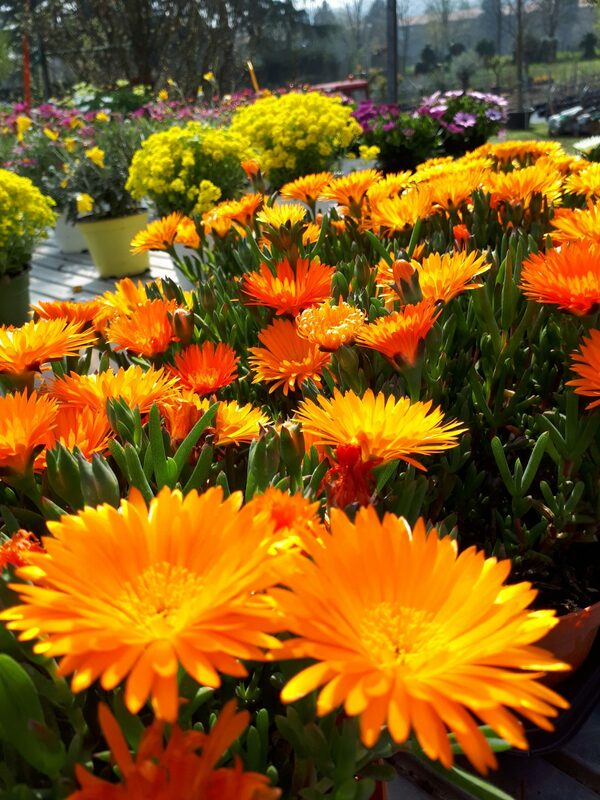 Gardening, offers, events arrangement, tips and fun facts. 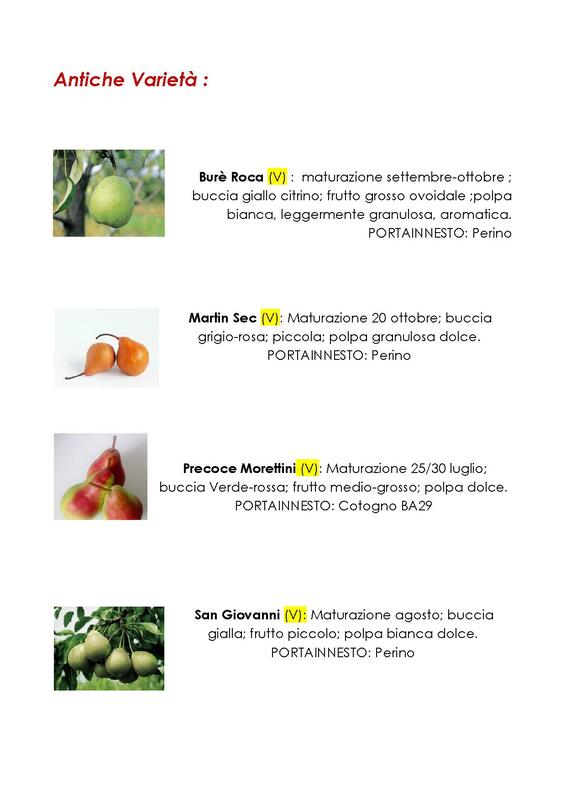 Discover our offers. 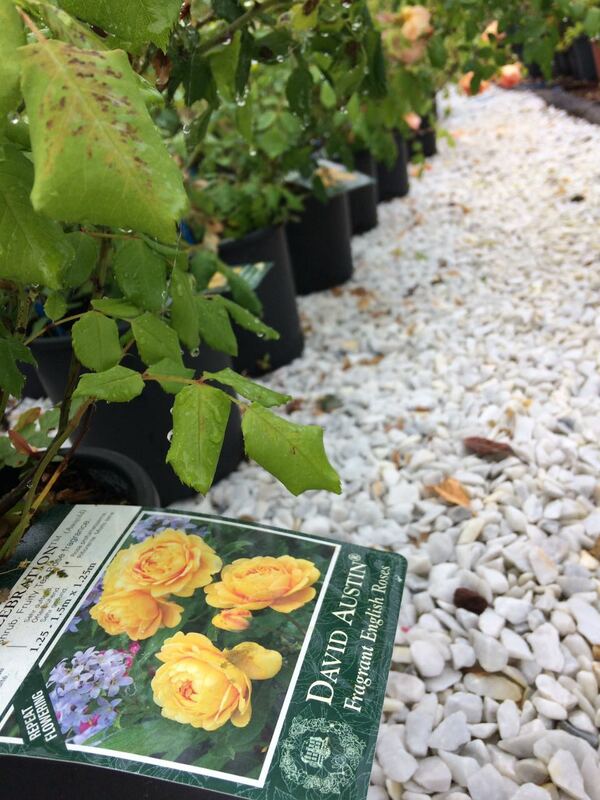 Your savings grow with us! 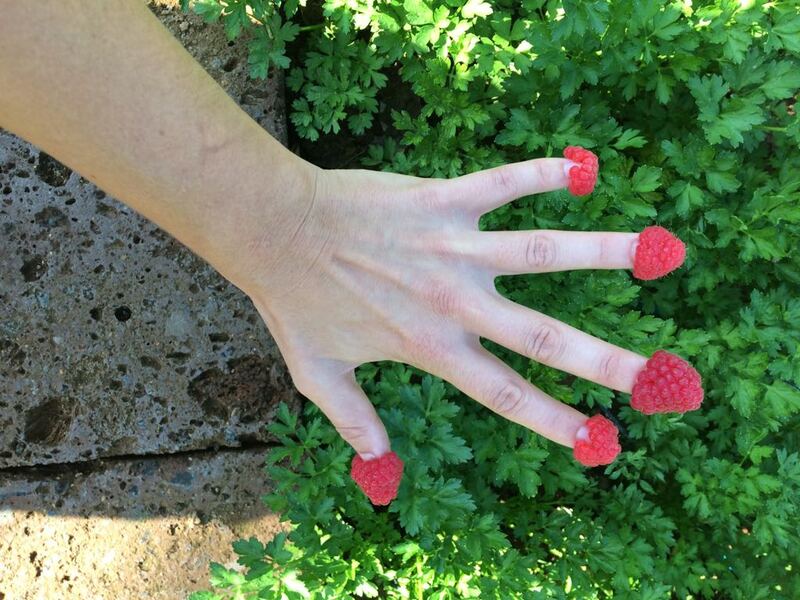 Write us your requests. 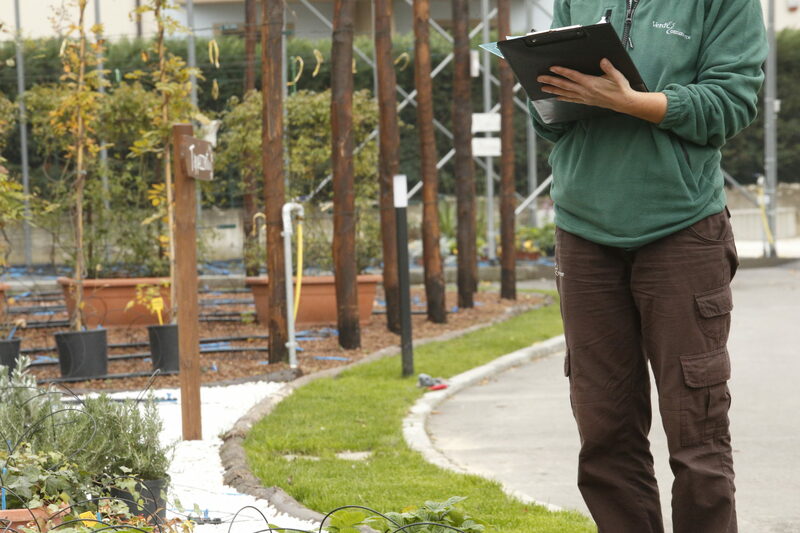 A nursery expert will assist you finding the best solution. 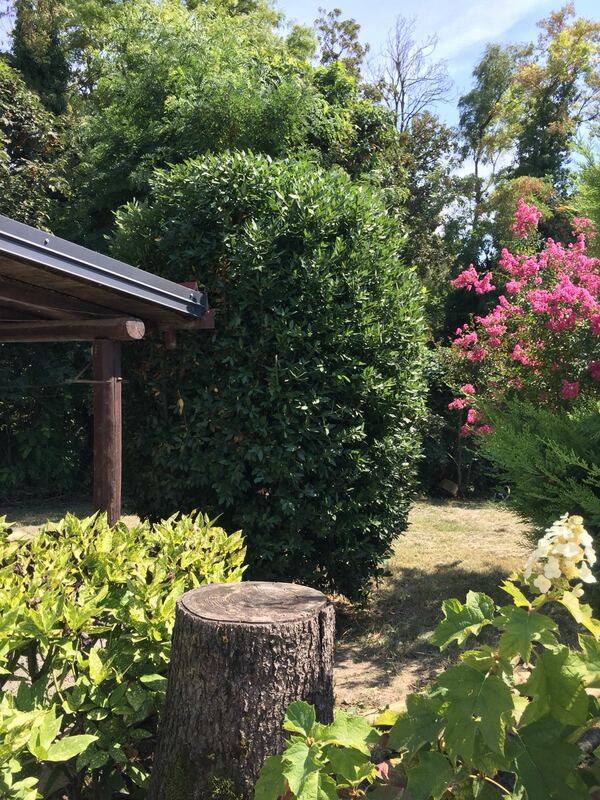 I've read the policies and accept. 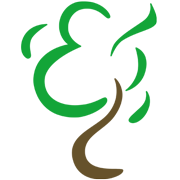 Be the first to find out what’s going on.